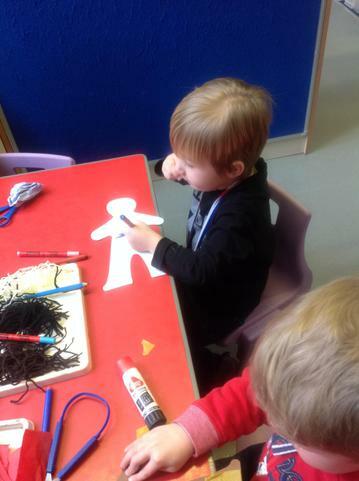 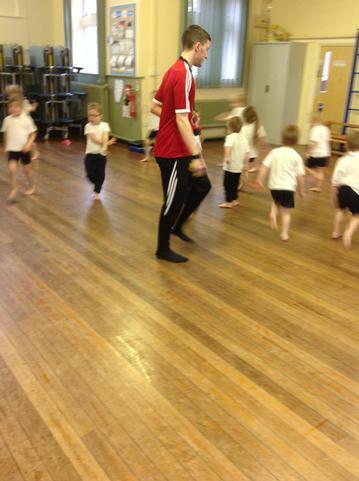 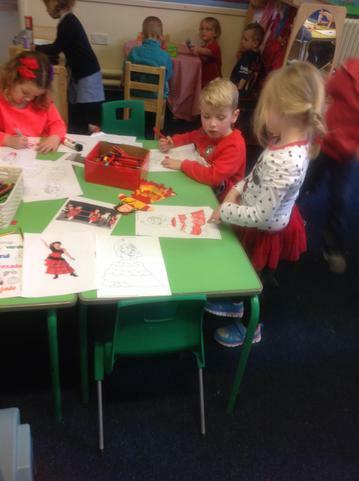 We have been so busy this half term. 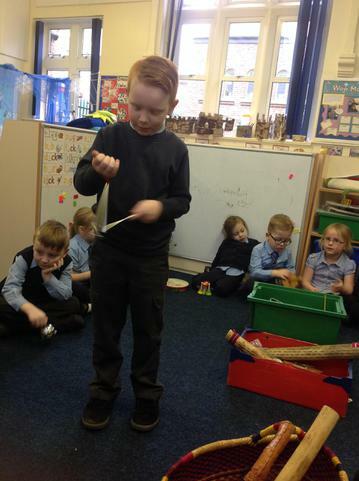 This week we had an opportunity to reflect on our learning.We discussed what we enjoyed learning in school and talked about how we can make ourselves better learners next term. 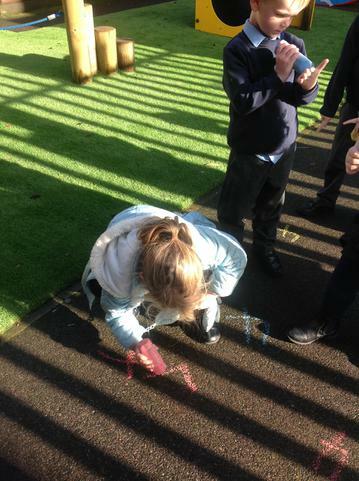 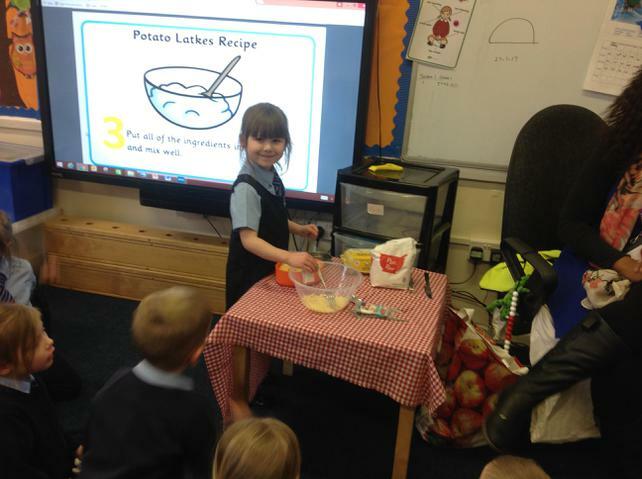 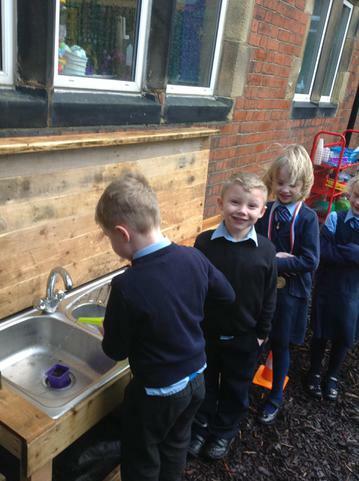 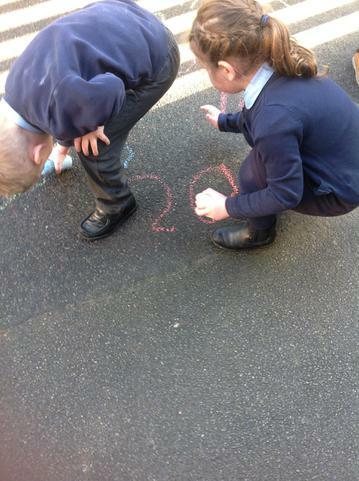 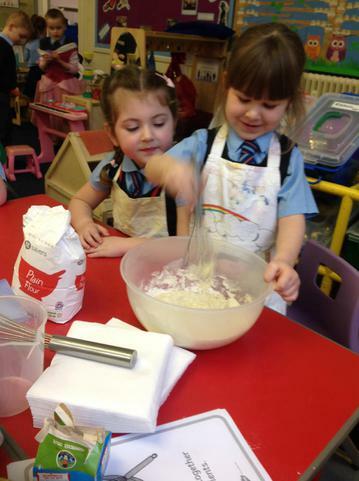 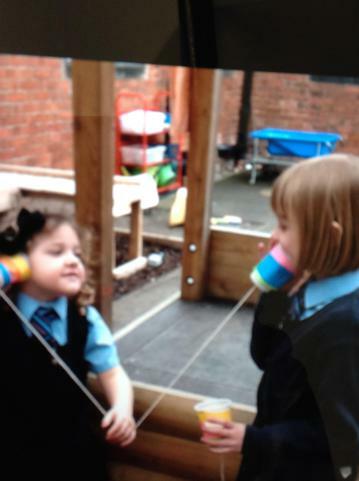 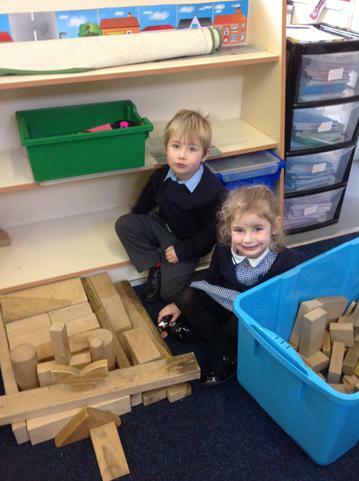 Here are some of our favourite learning moments captured in pictures. 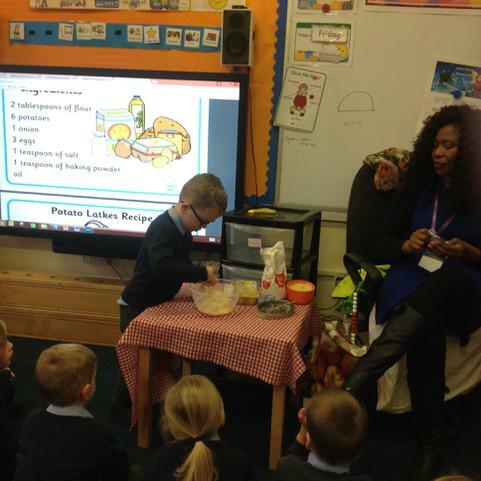 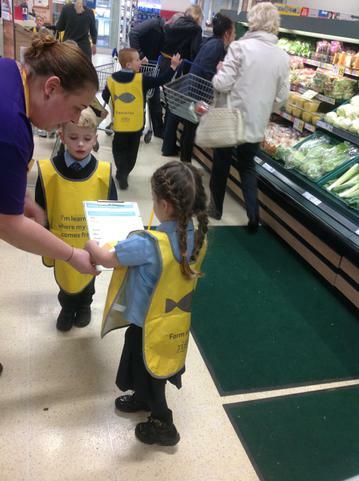 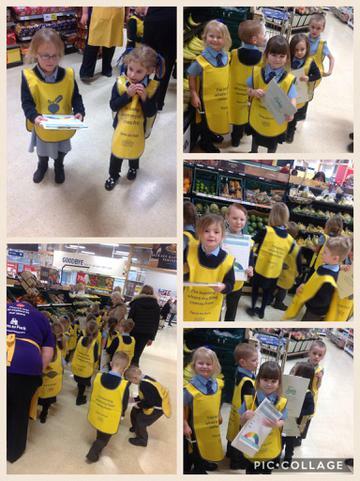 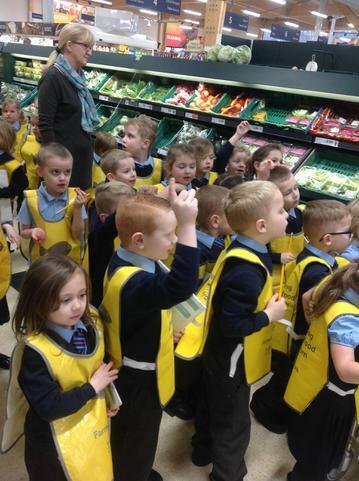 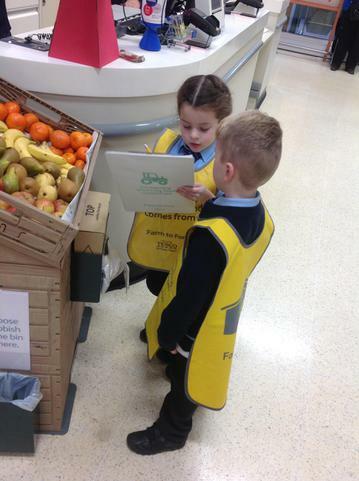 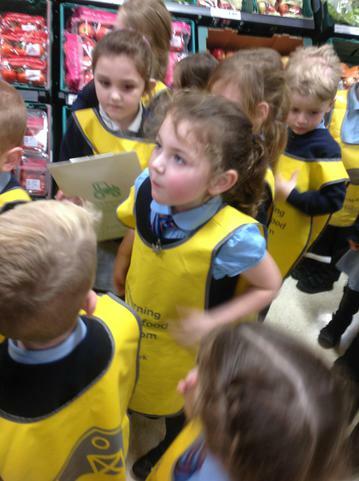 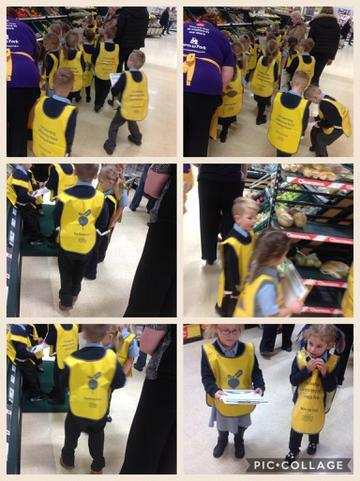 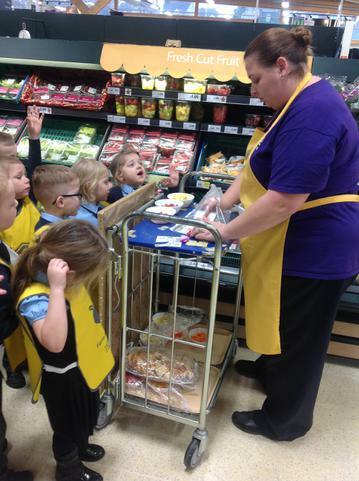 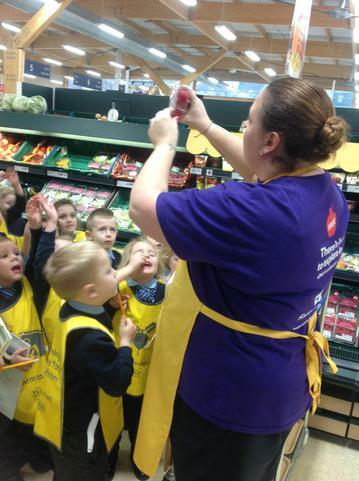 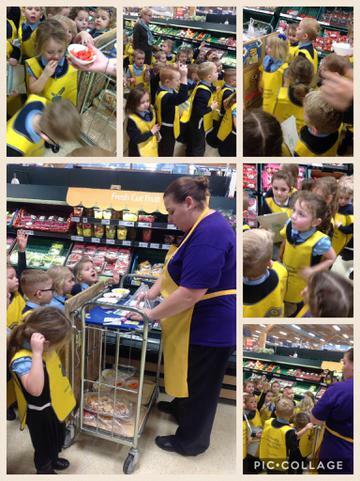 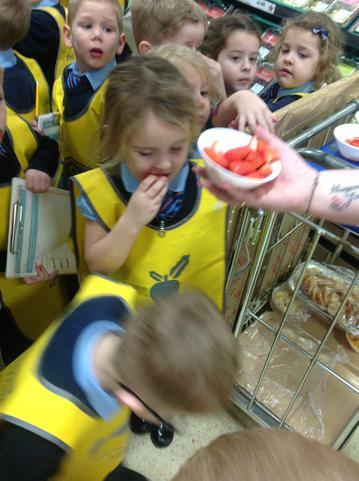 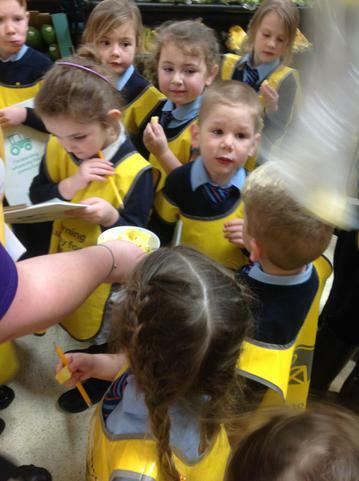 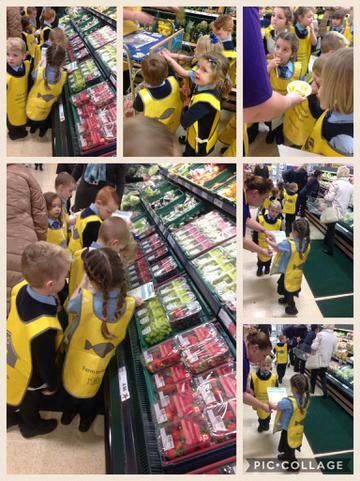 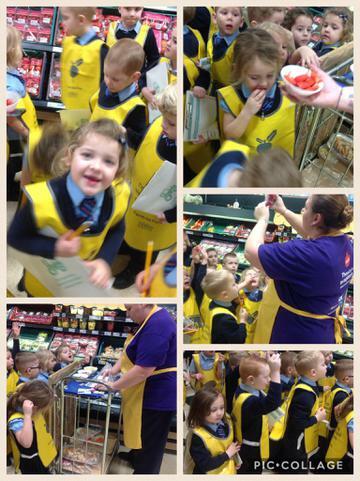 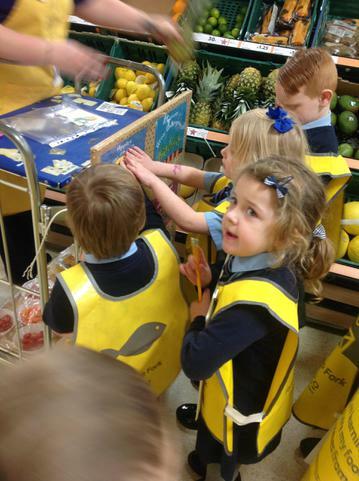 This week class 1 visited Tesco to learn about where food comes from.We had fun walking on the shop floor on a "Farm to Folk" trail where we learnt about where fruits and vegetables grow. 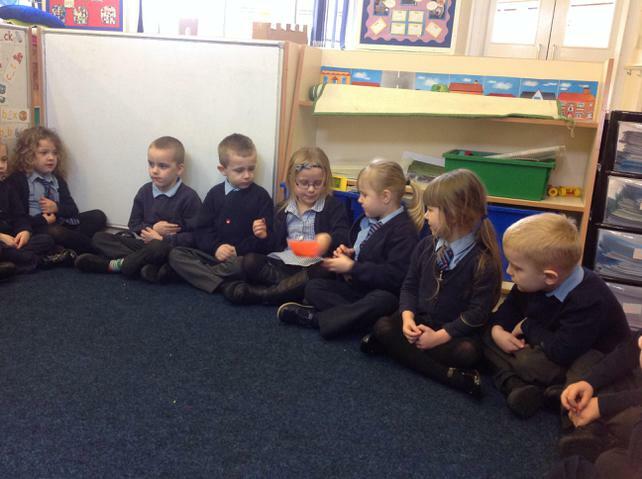 We tasted different fruits and vegetables too. 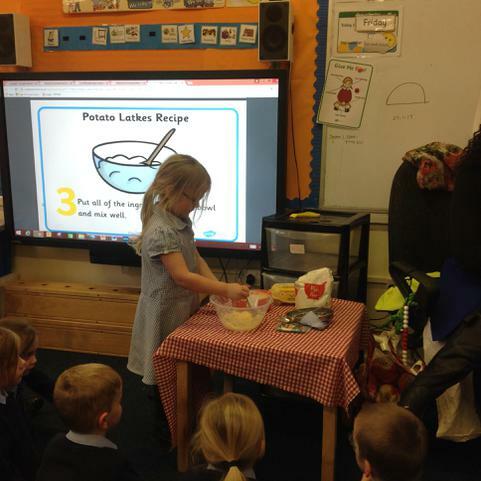 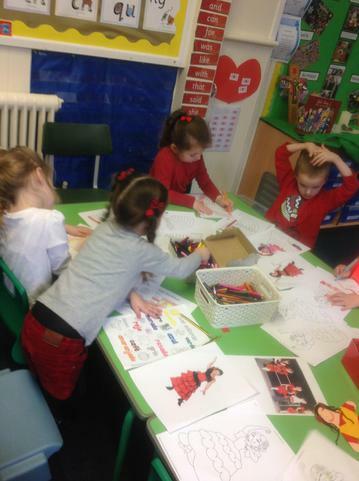 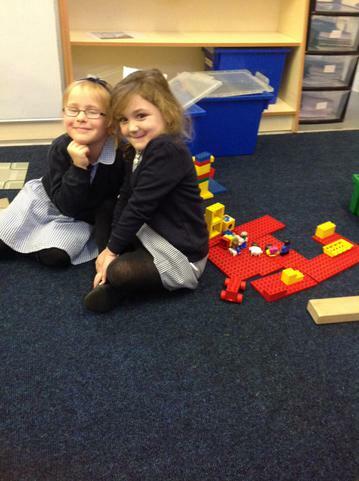 We have had such a busy week in class1. 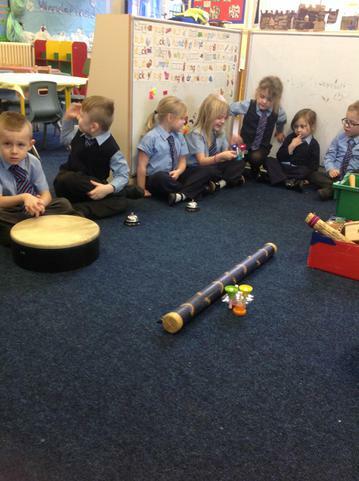 To support our understanding of our Cornerstones Topic "What's that Sound? 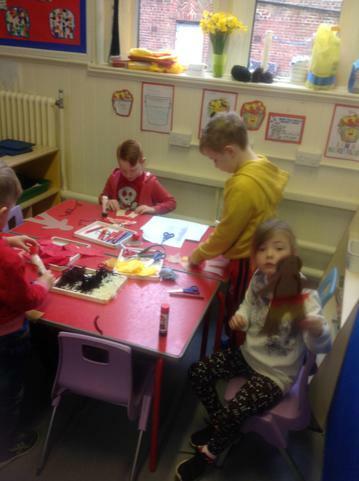 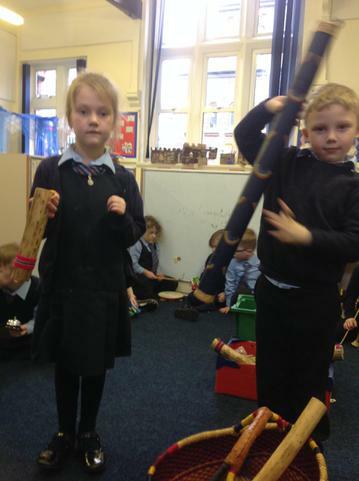 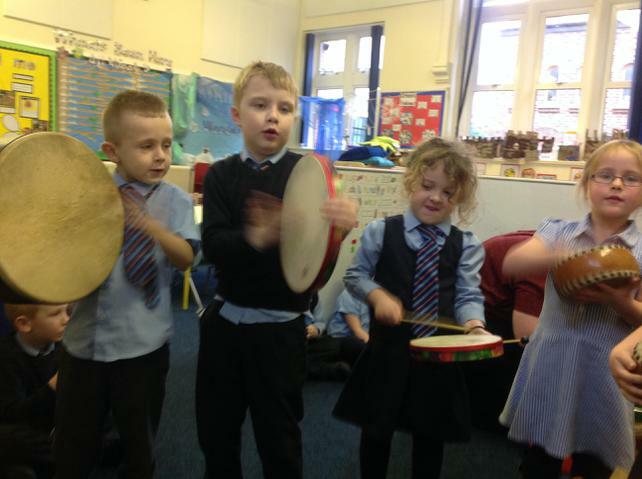 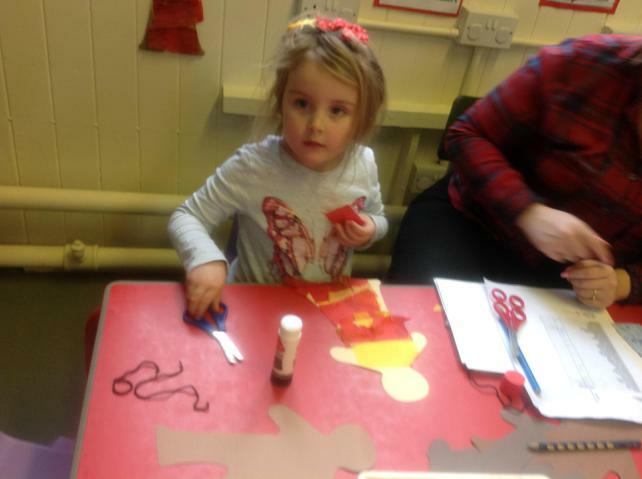 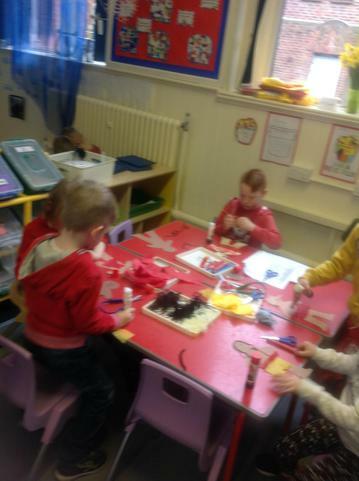 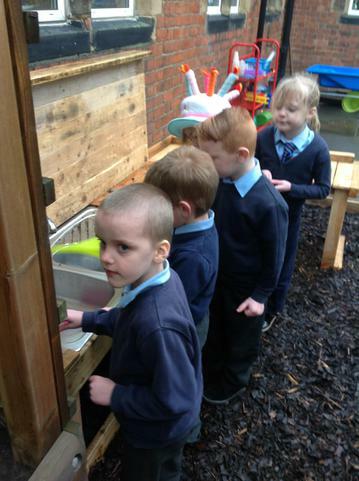 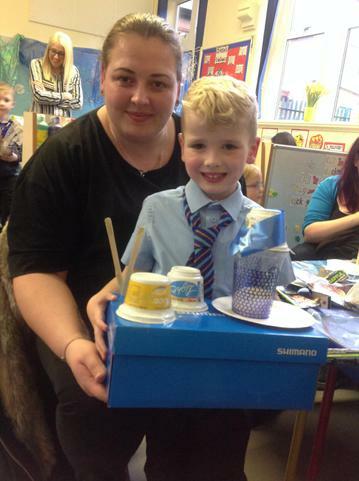 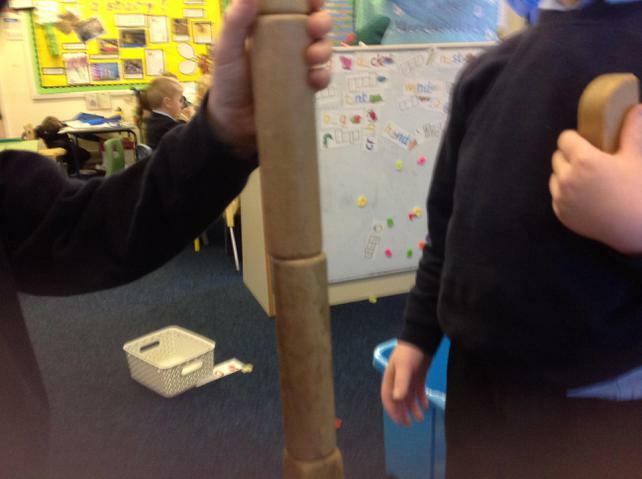 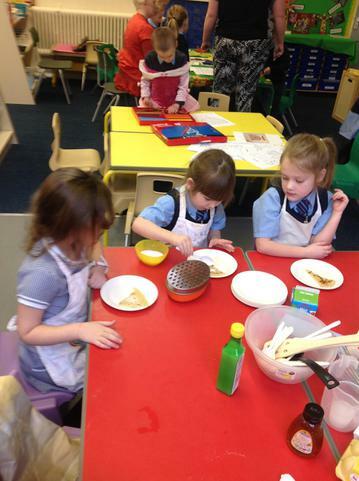 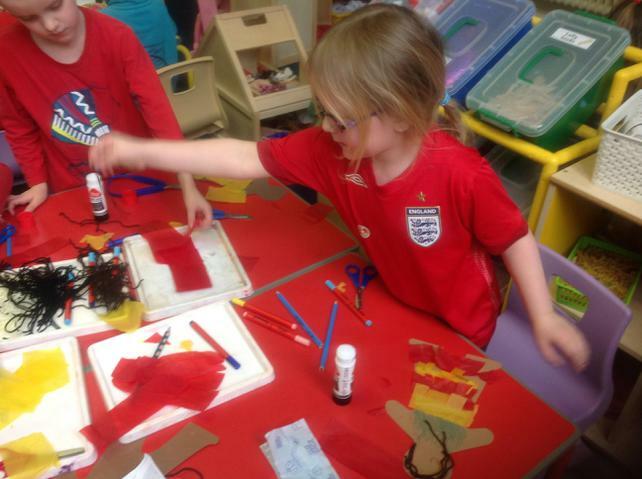 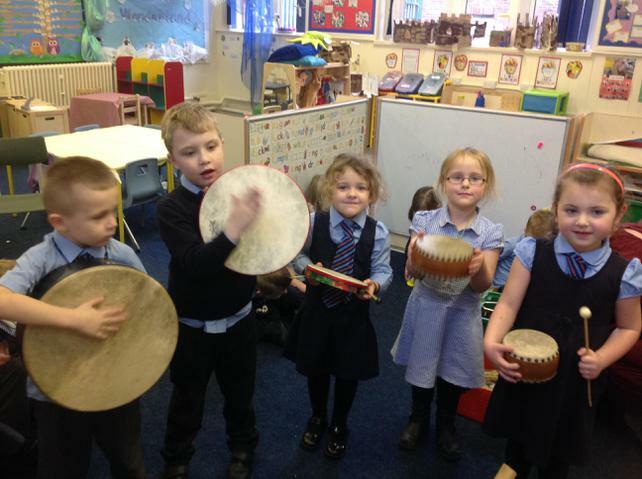 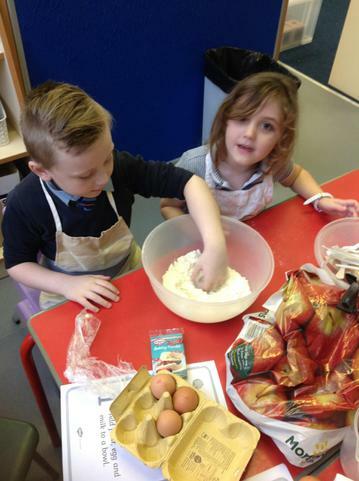 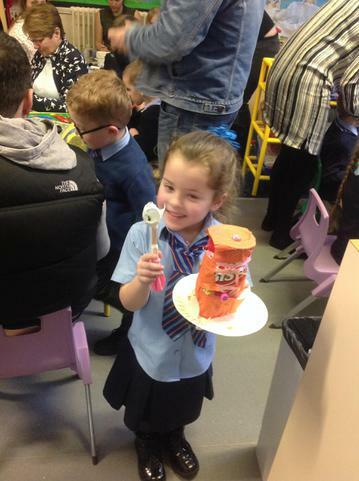 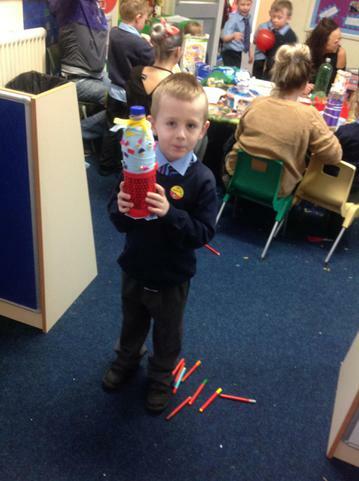 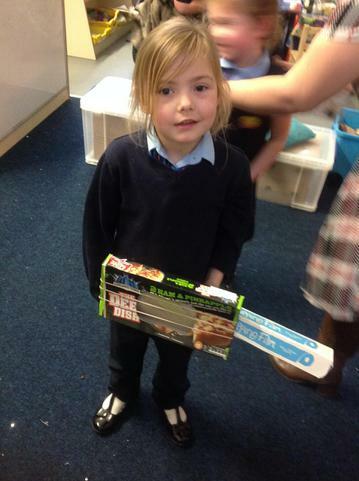 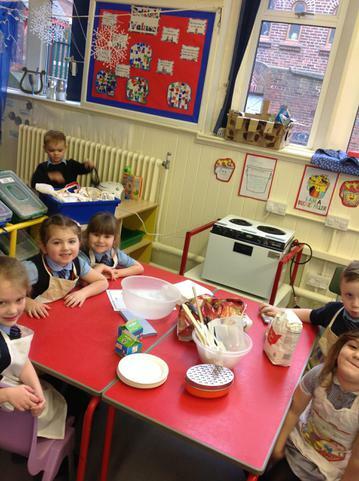 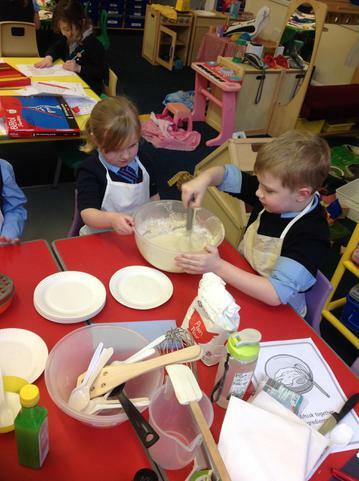 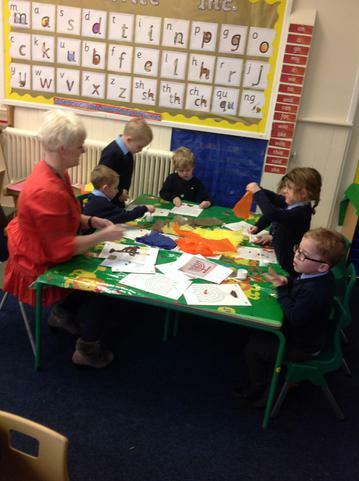 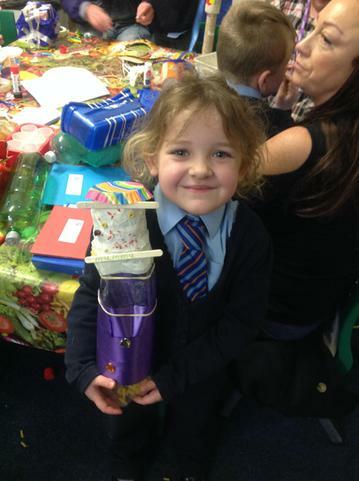 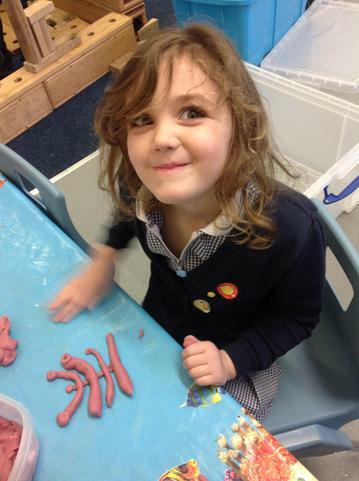 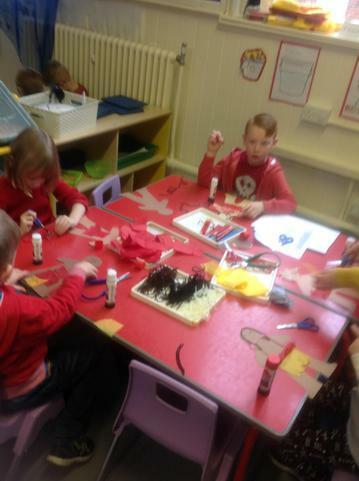 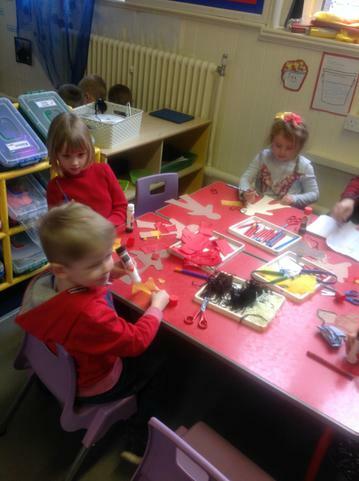 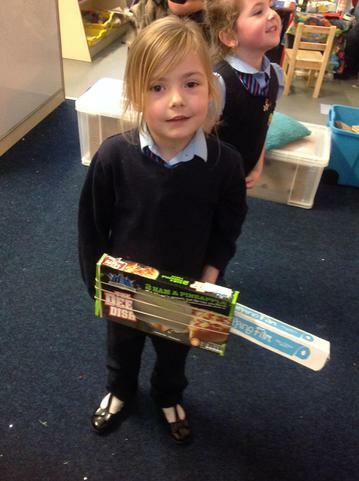 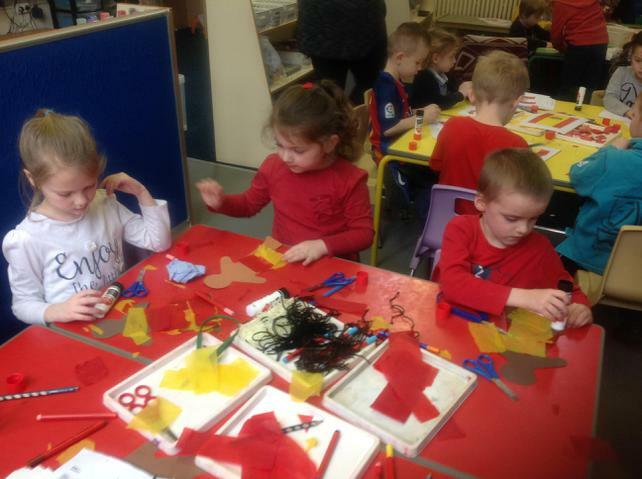 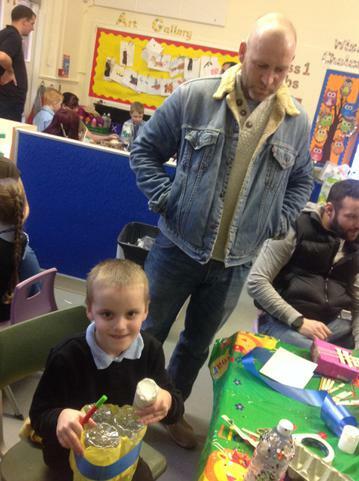 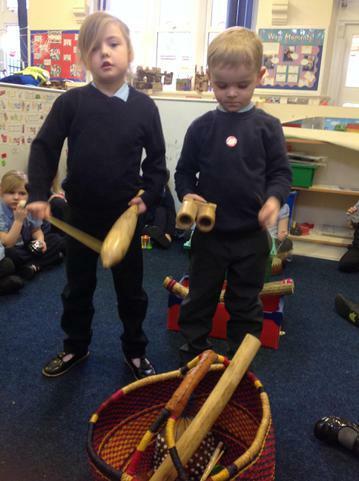 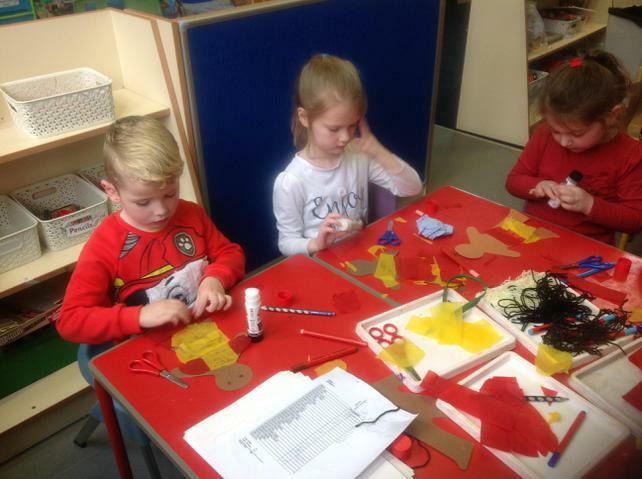 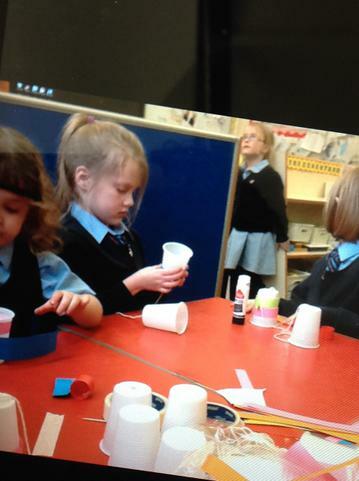 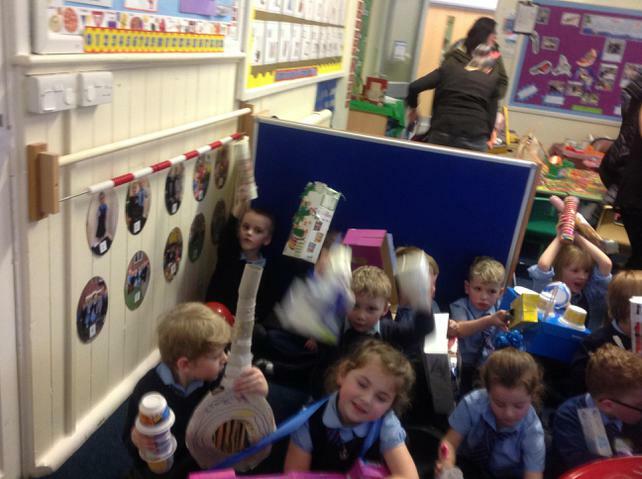 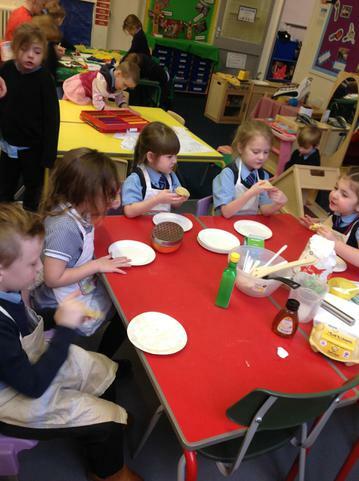 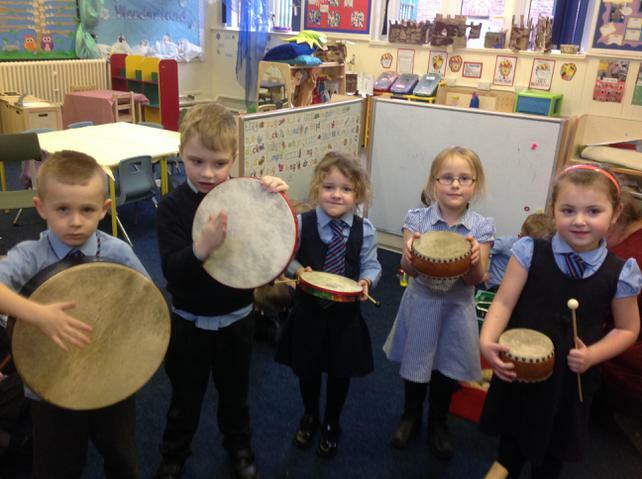 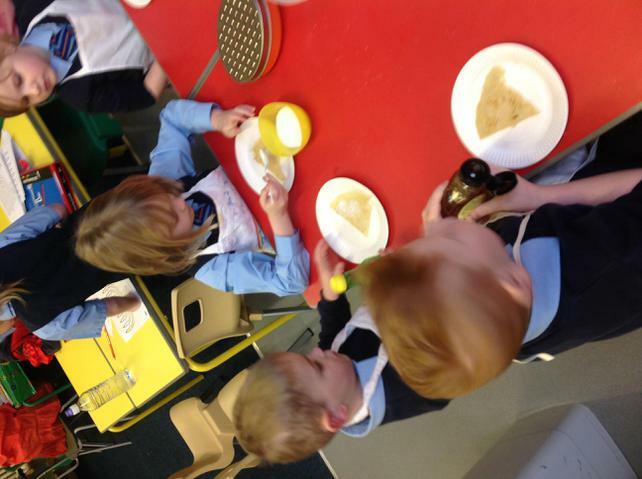 ", we invited parents and families to come and help us make instruments. 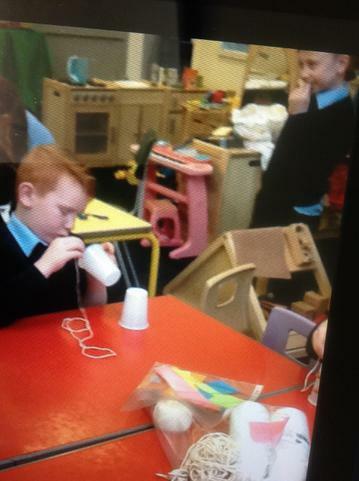 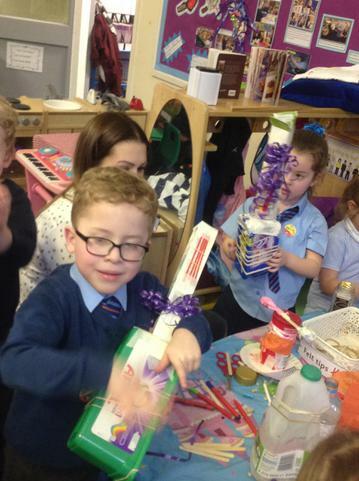 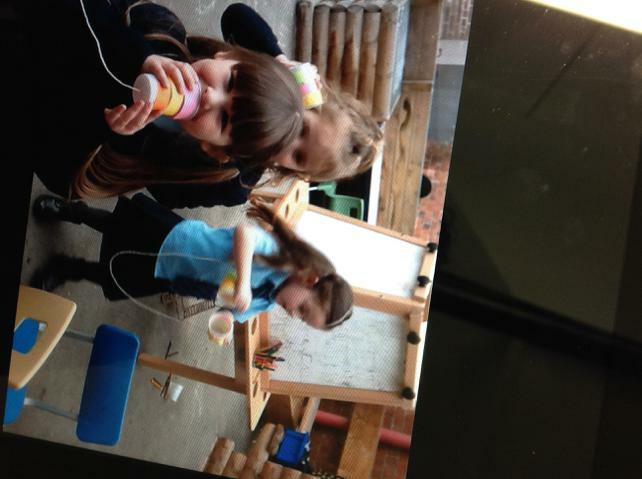 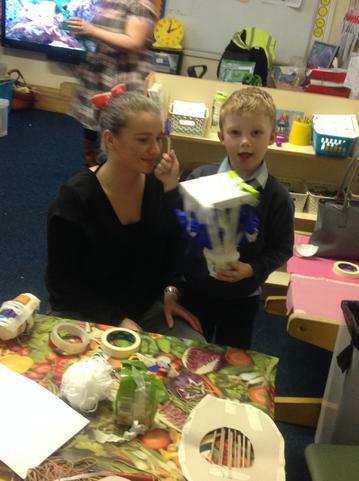 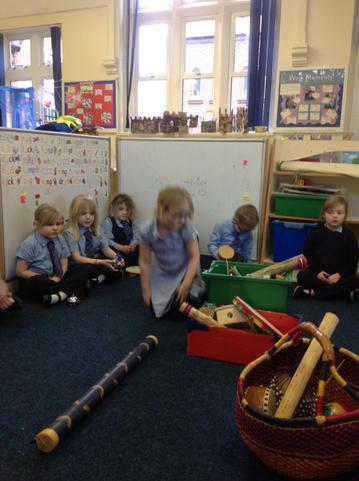 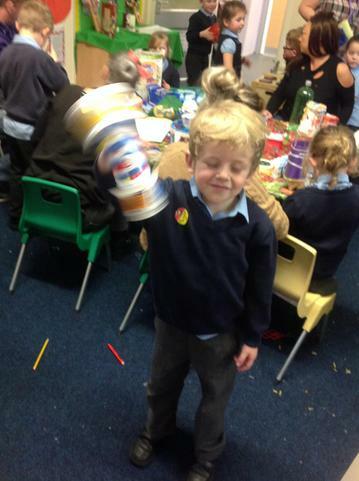 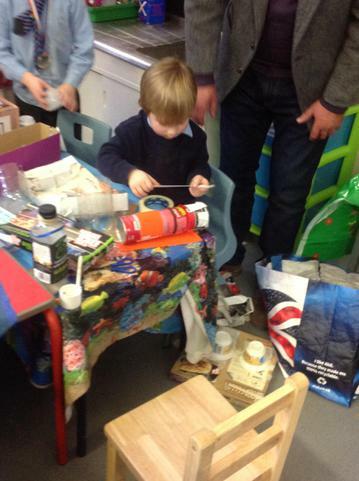 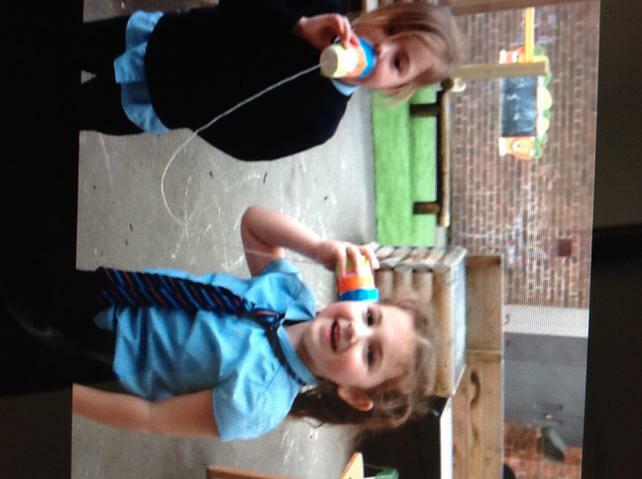 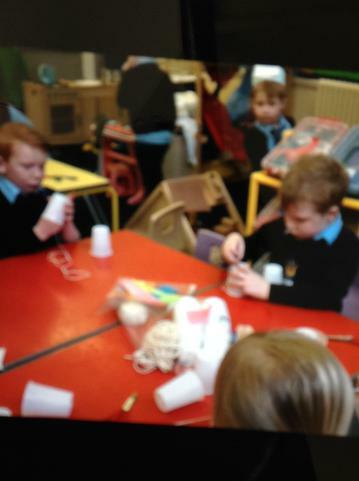 After the parent's visit, some children decided to make some more instruments using the ideas from the parents' session. 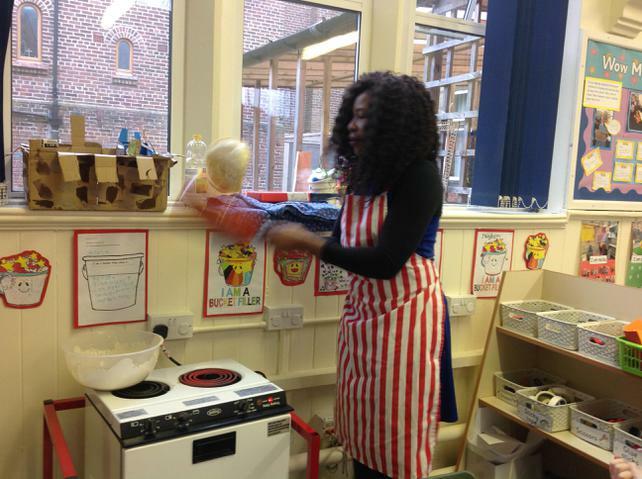 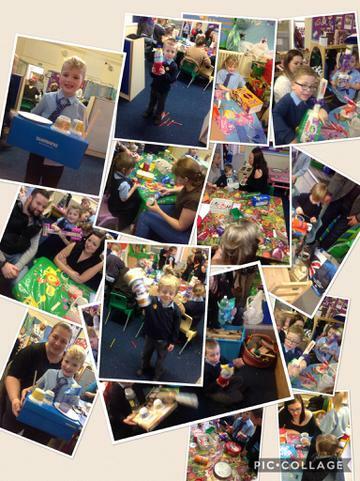 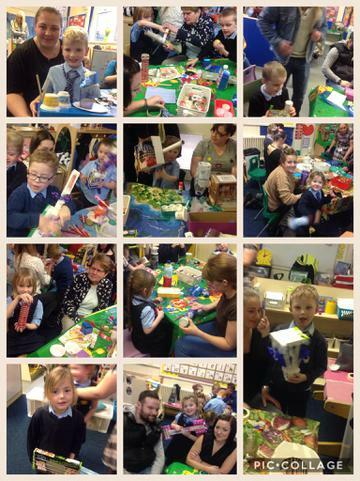 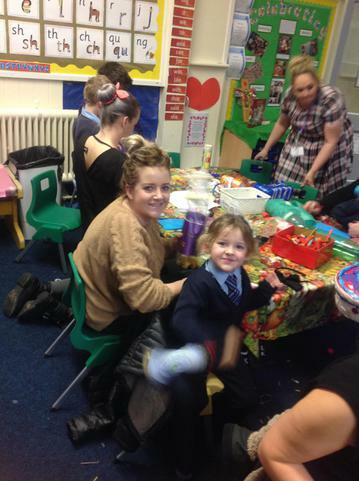 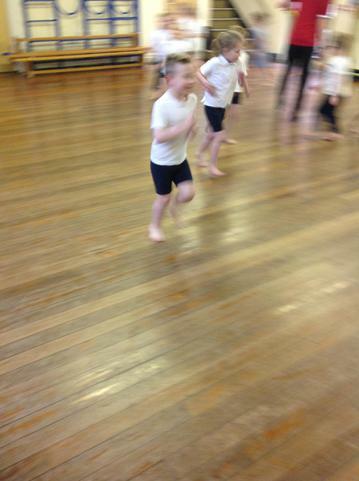 Class 1 staff would like to thank all the parents, grandparents and family members who attended the afternoon. 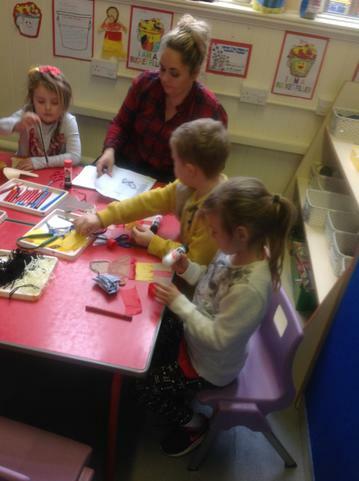 We know how busy your lives must be so we appreciate you taking the time to come in and see how we learn. 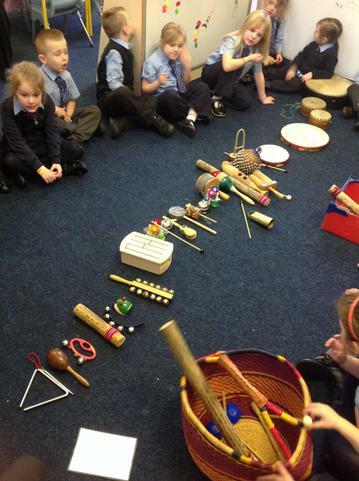 We look forward to more such sessions. 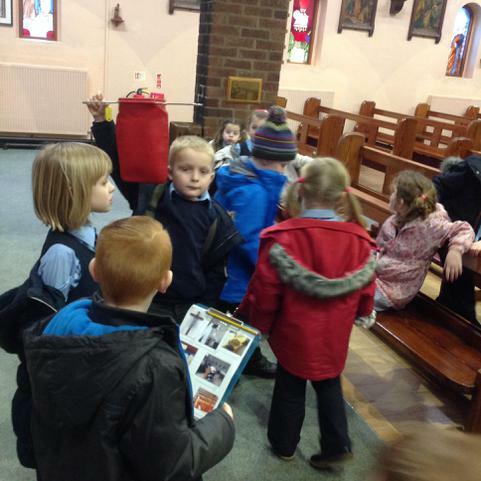 Here are some of the pictures from the visit. 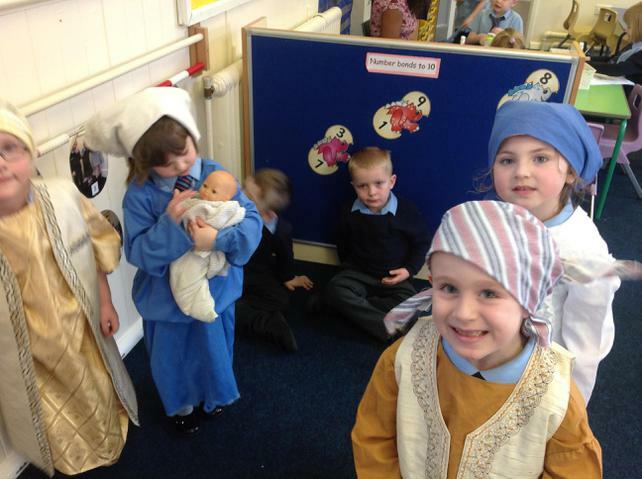 We have had such a busy week in Class 1. 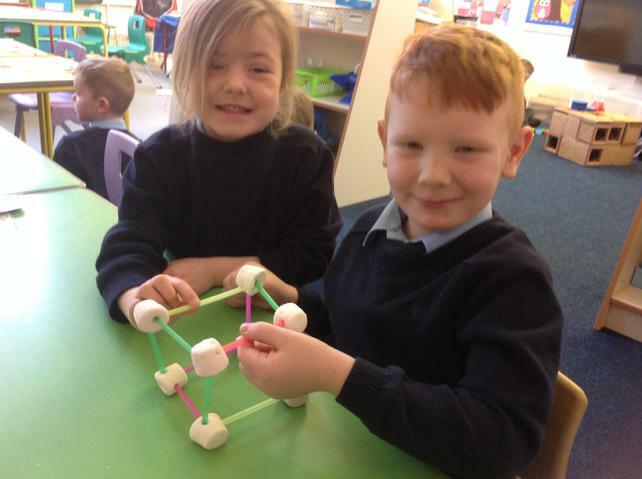 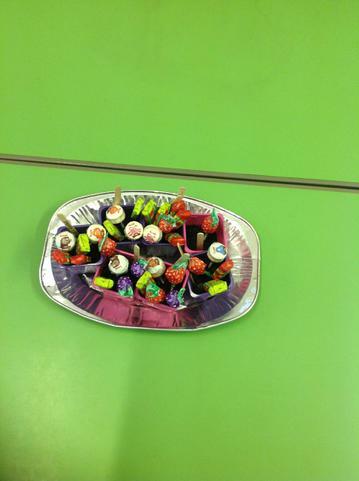 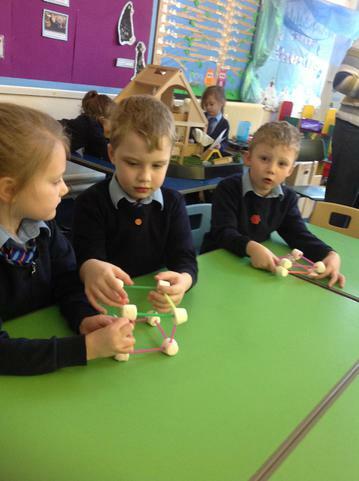 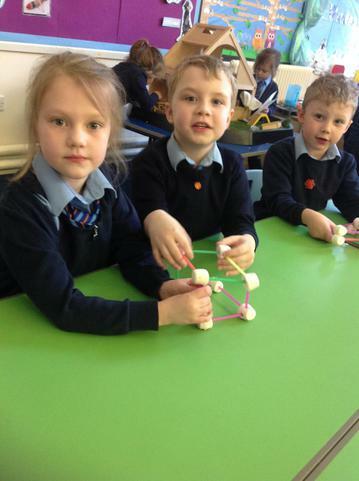 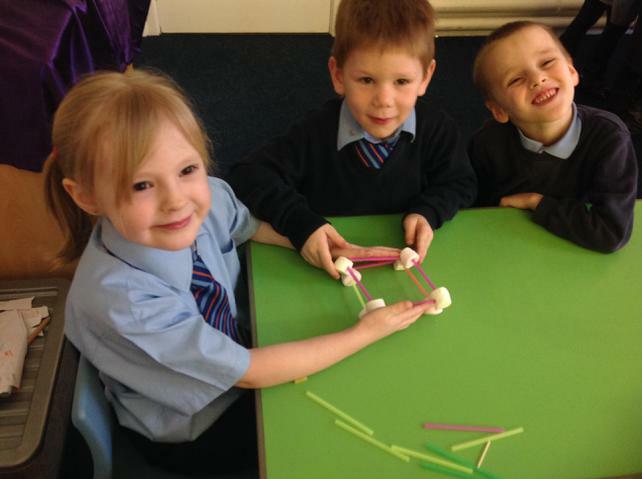 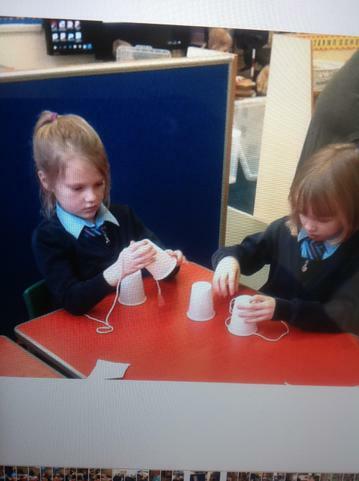 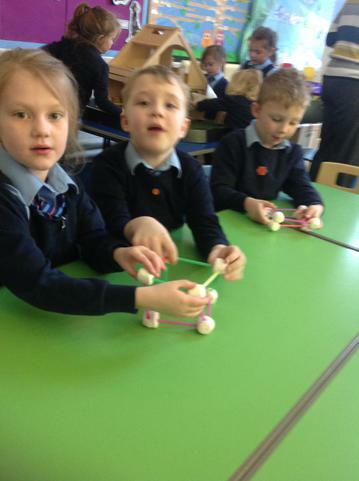 In Maths we were looking at 3D shape properties and made different 3D shapes using marshmallows and straws. 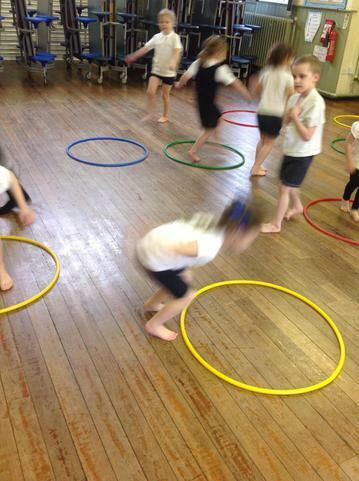 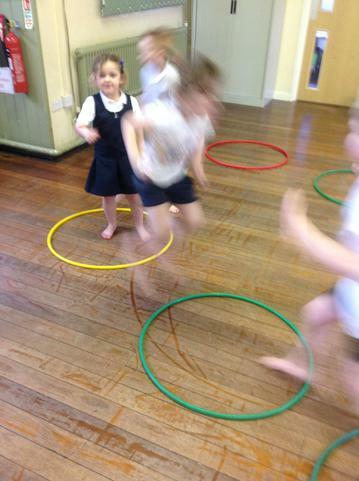 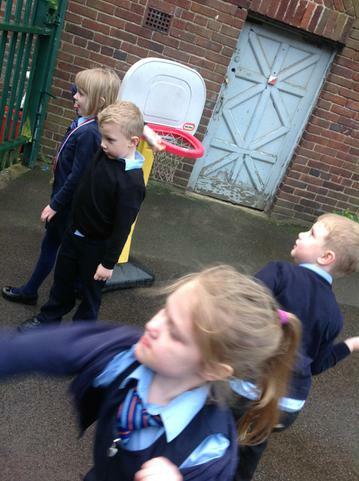 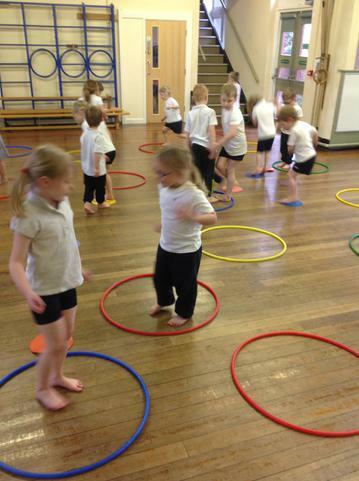 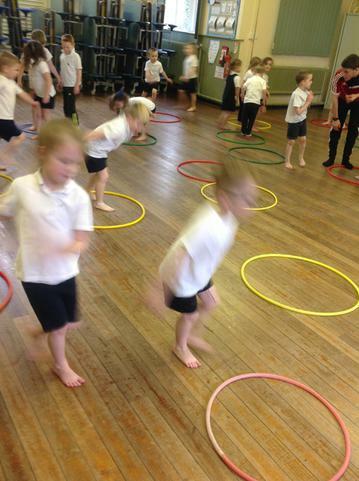 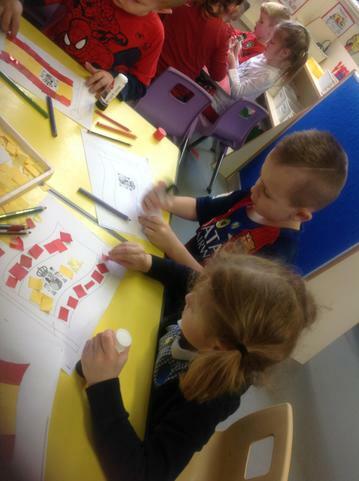 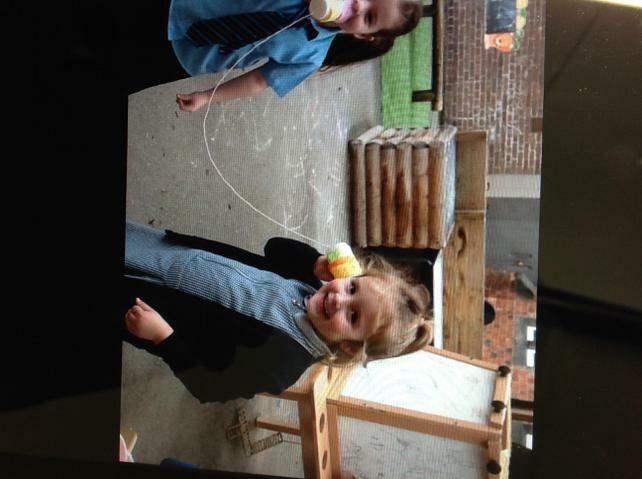 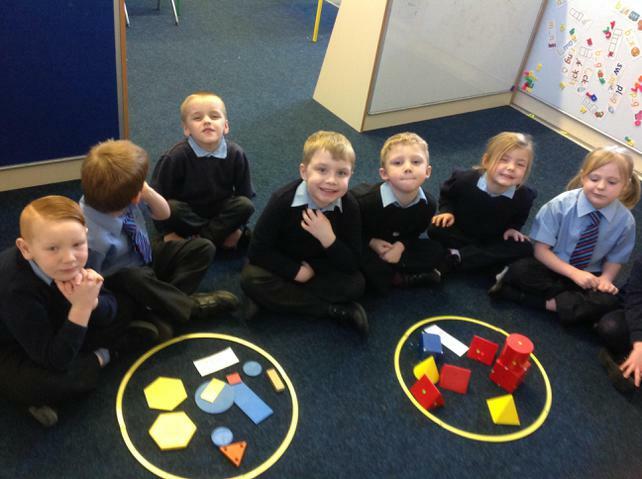 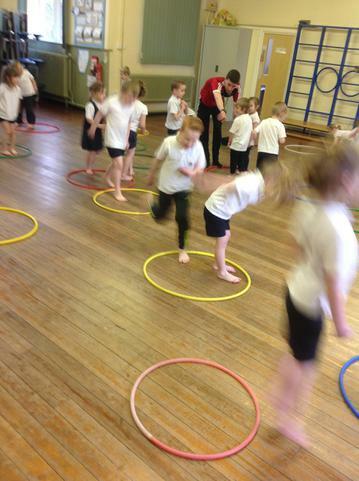 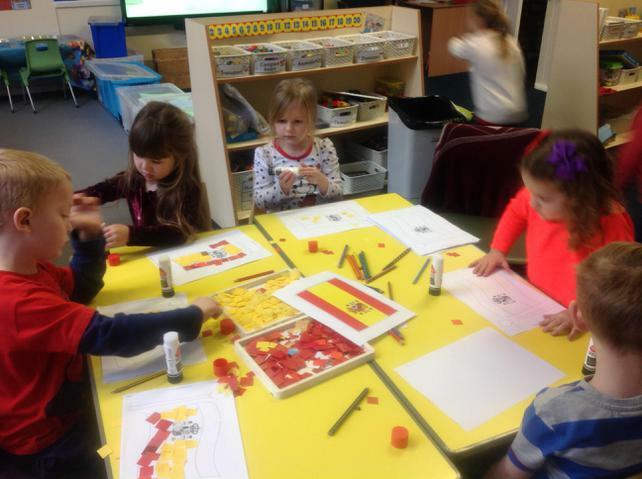 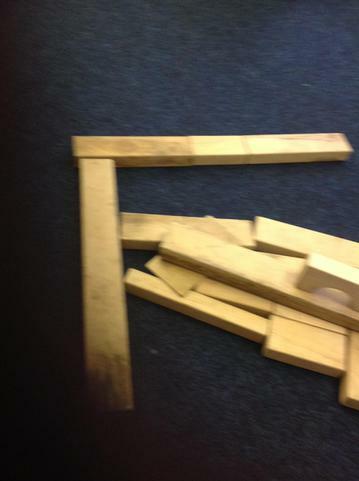 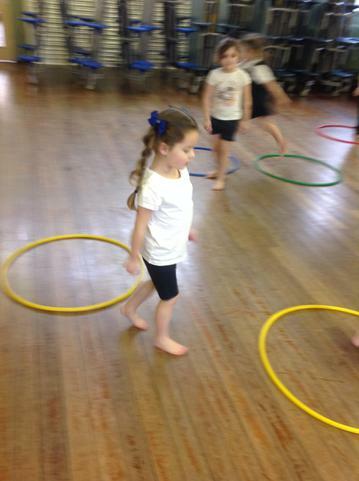 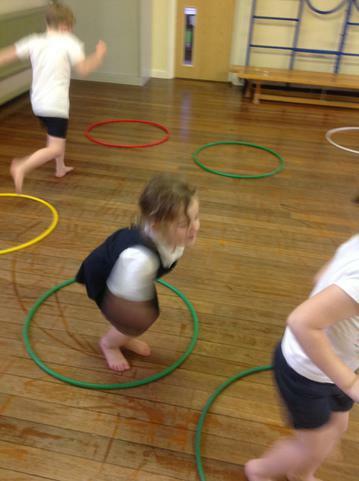 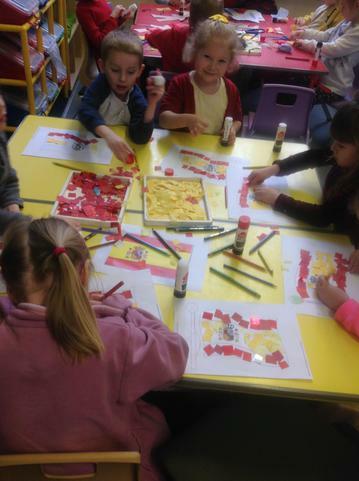 Here are some photos from the different shape activities we had. 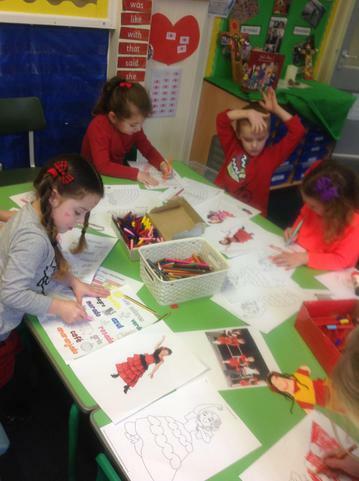 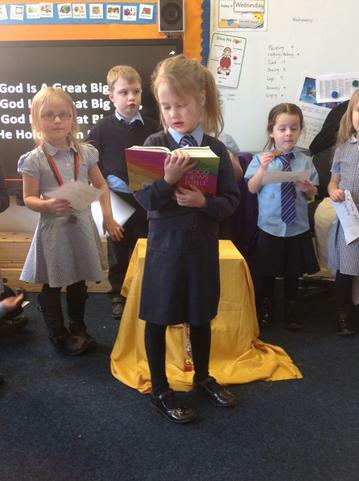 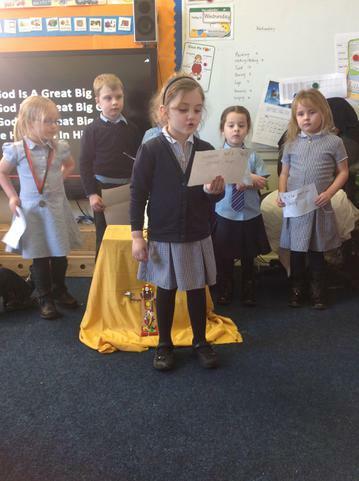 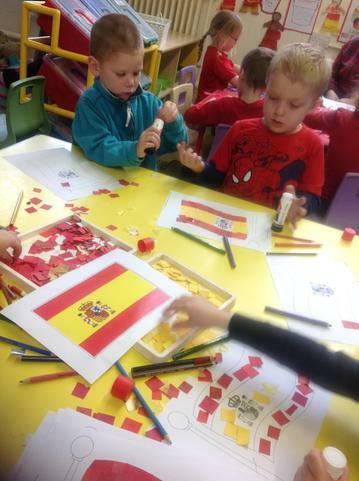 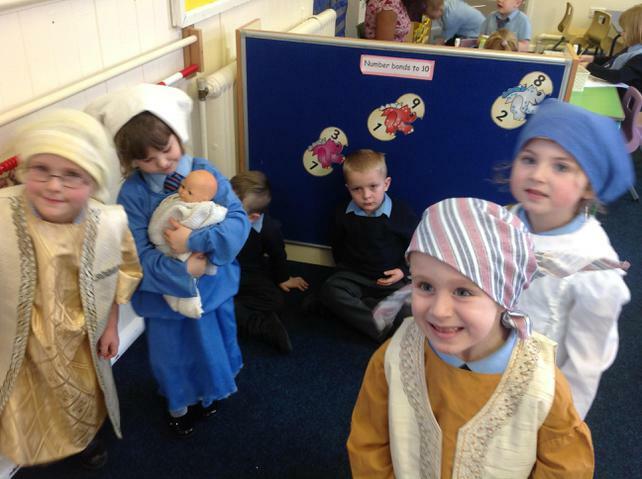 In RE we had an opportunity to respond to what we had learnt about how the parish family celebrates. 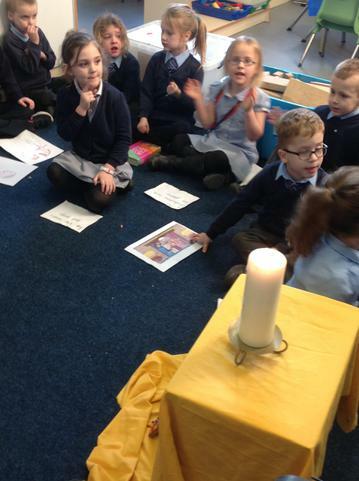 We planned our session as a class and selected songs to sing, bible verses and wrote what we wanted to say in the prayers. 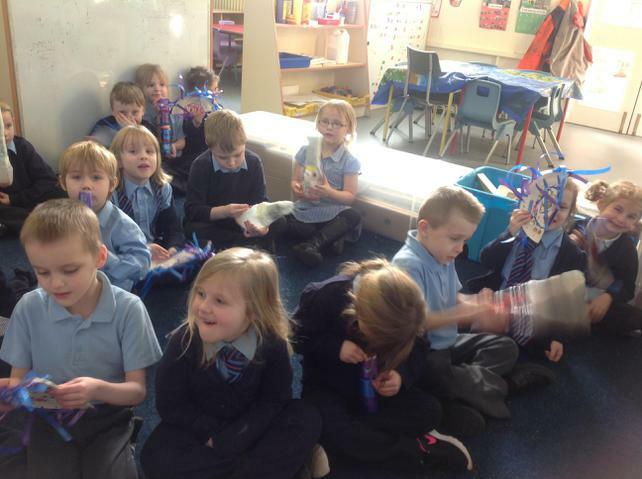 We then shared some biscuits and reminded each other of how people gather for a celebration. 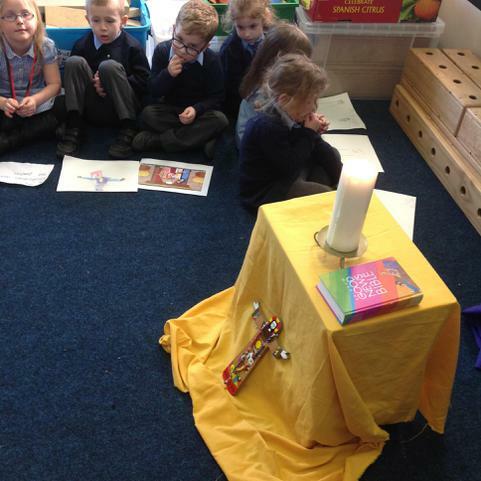 On Friday, the whole school looked at Judaism. 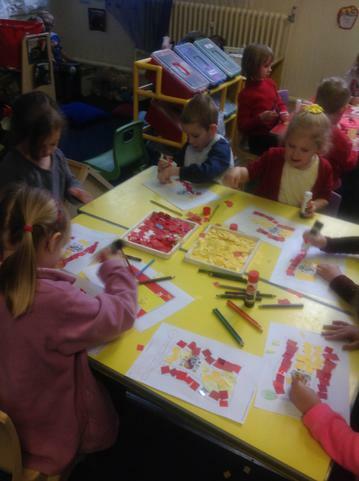 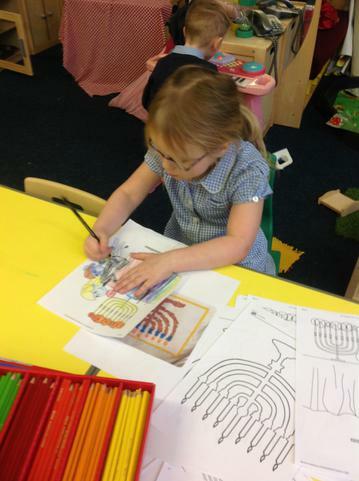 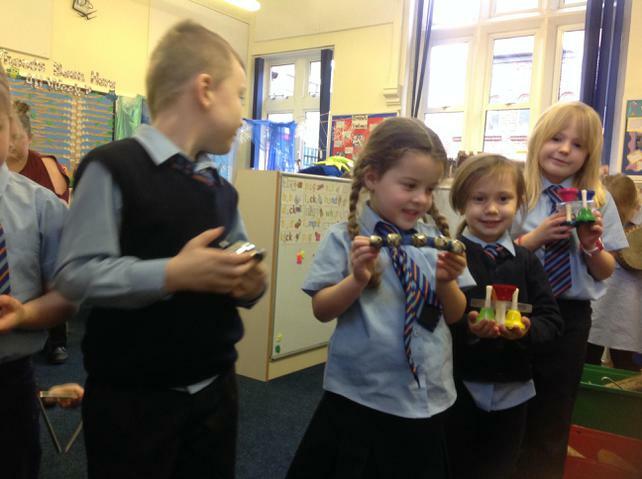 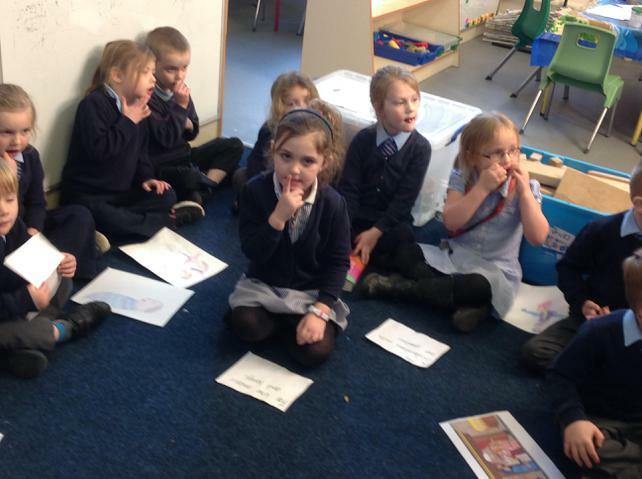 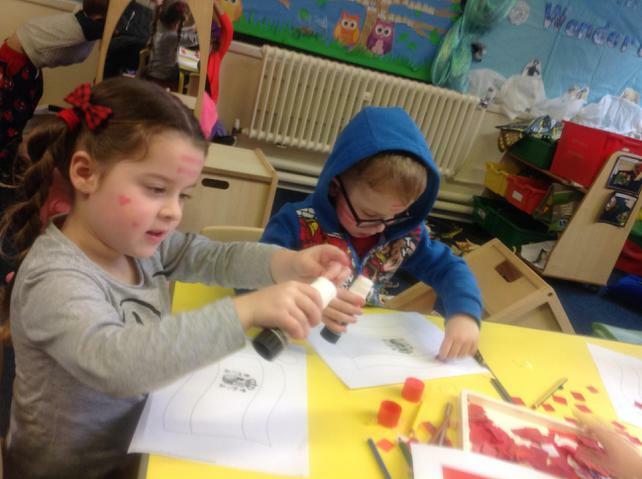 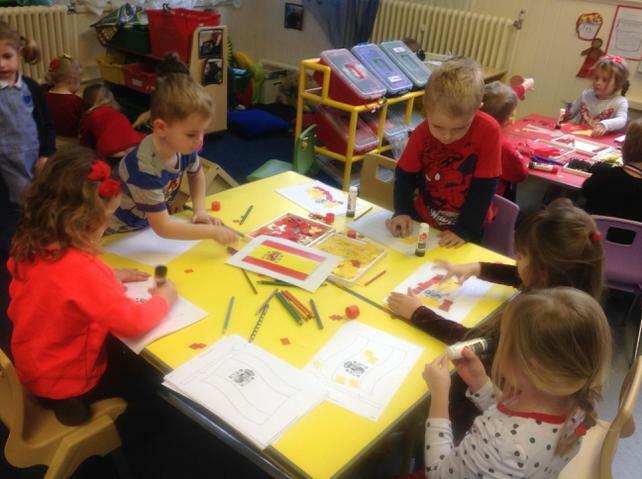 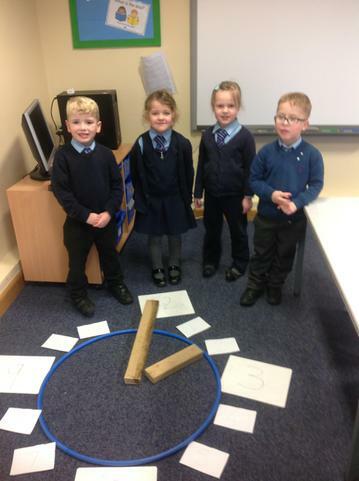 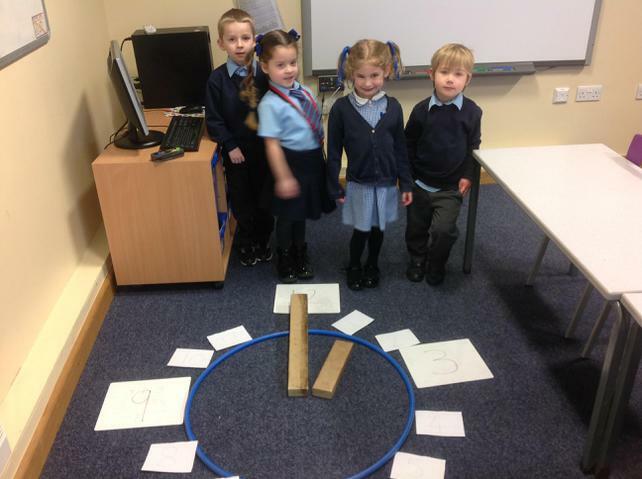 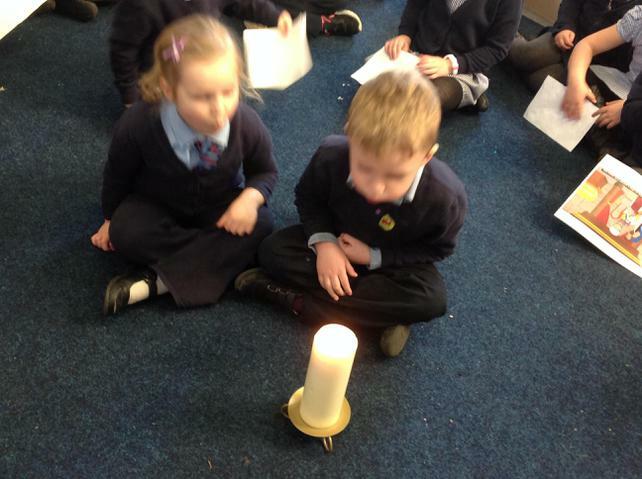 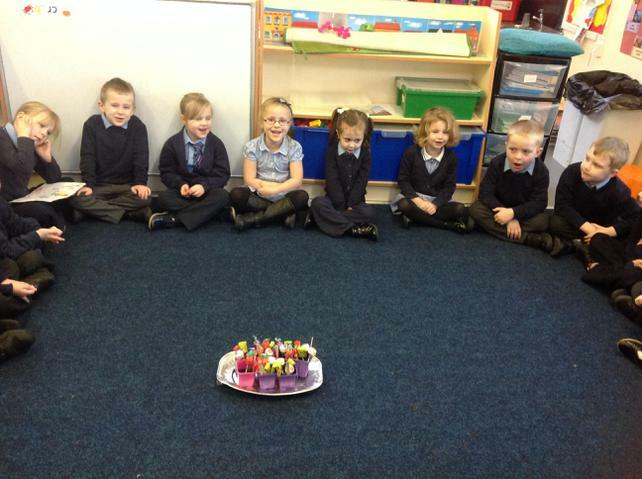 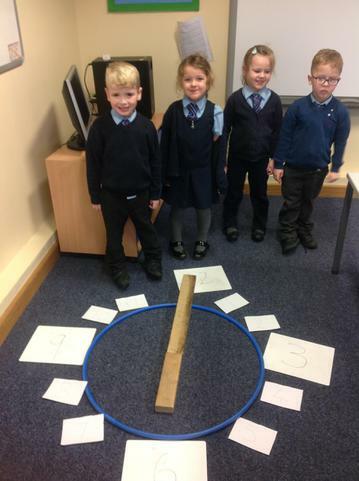 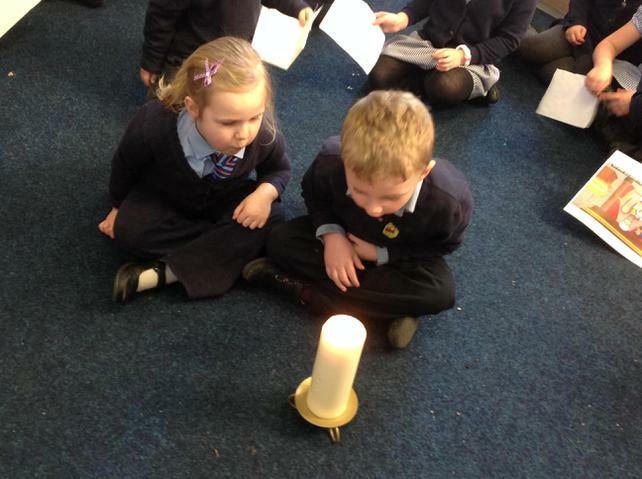 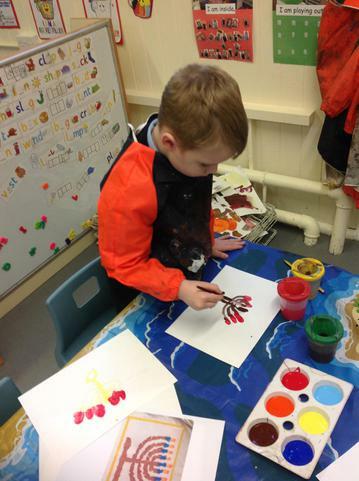 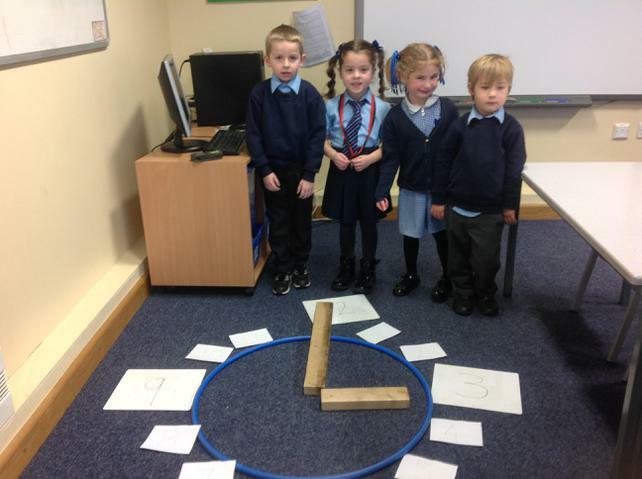 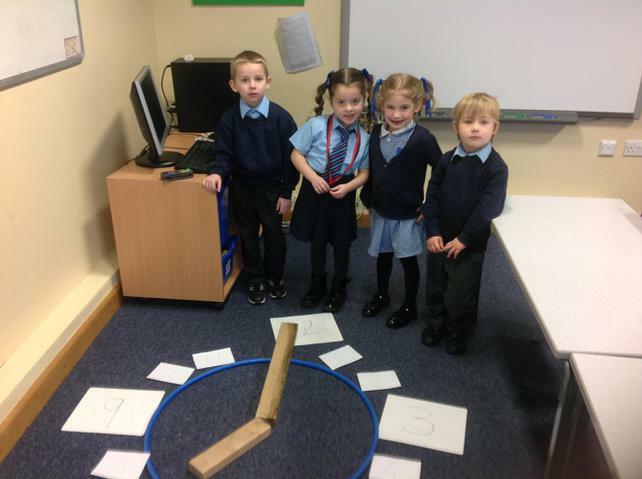 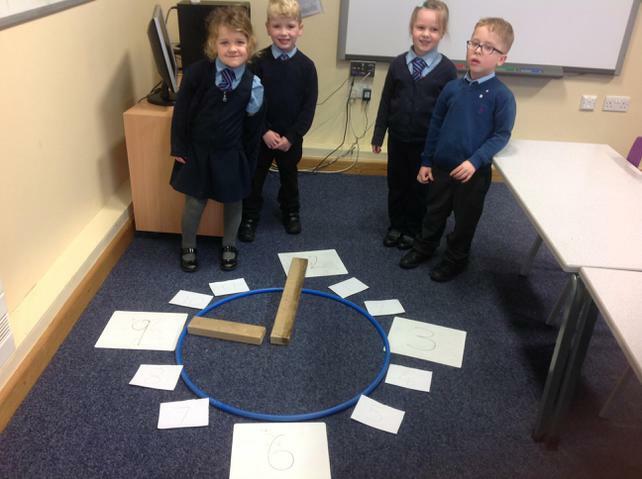 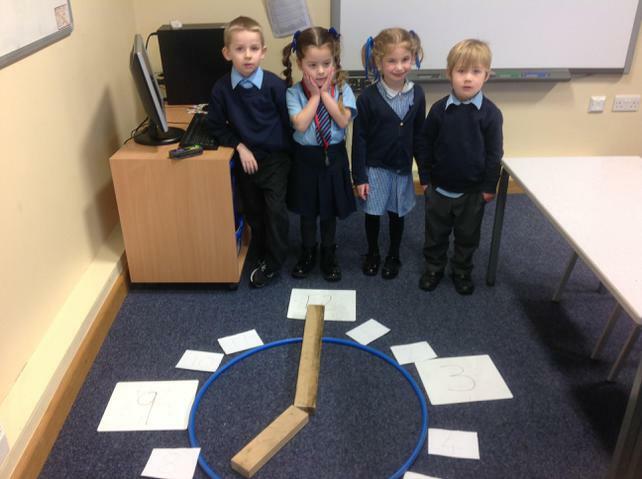 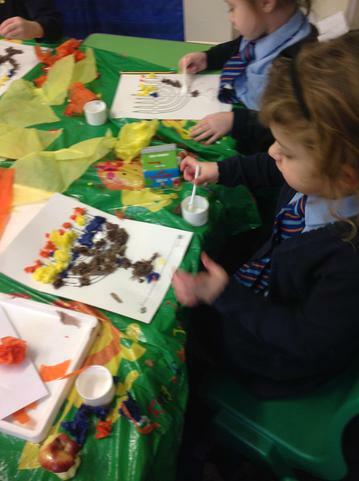 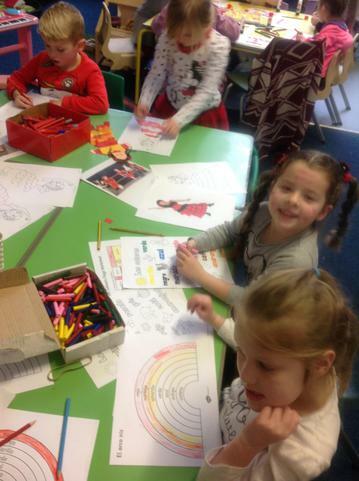 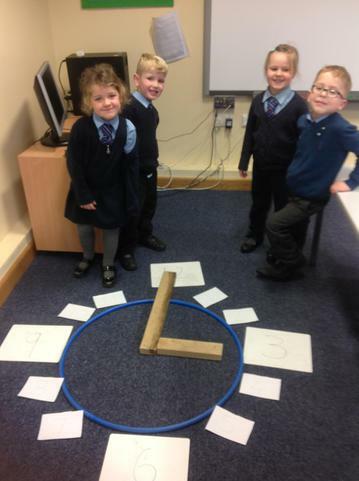 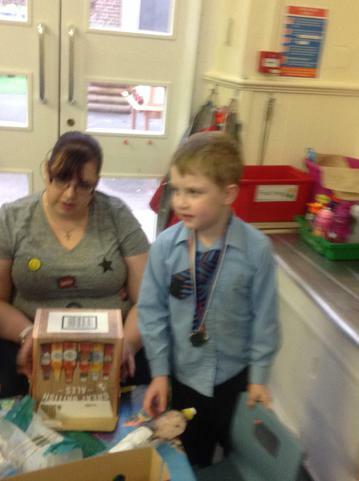 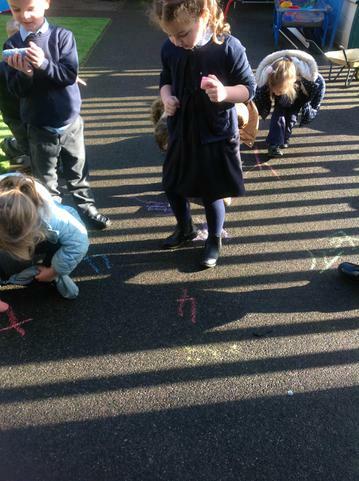 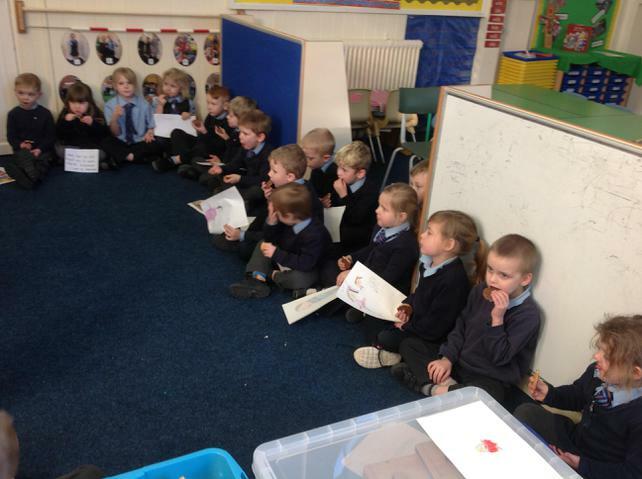 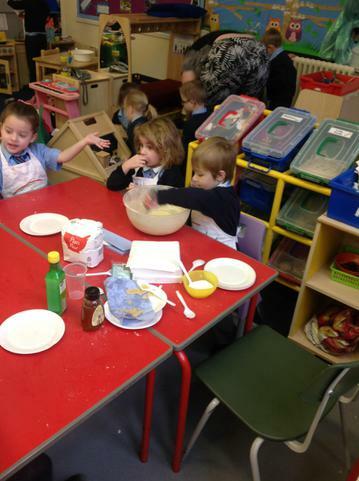 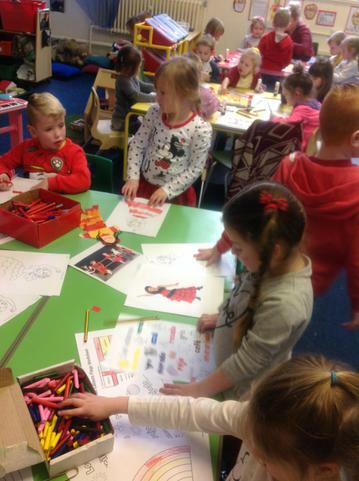 Class 1 looked at Hanukkah. 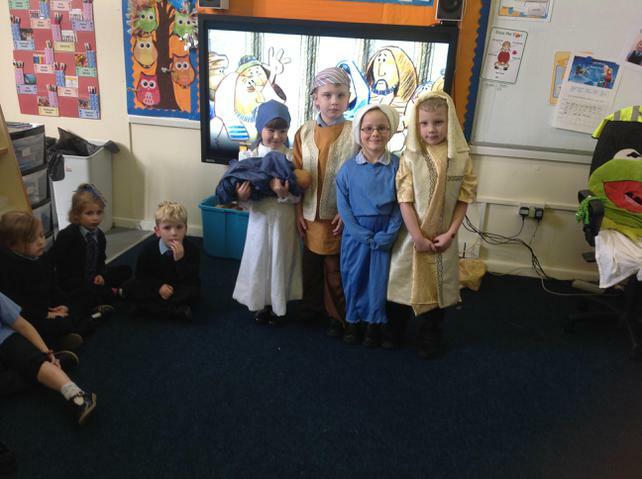 We learnt that the festival is based on the story about Judah Maccabeus who helped rebuild the temple in Jerusalem. 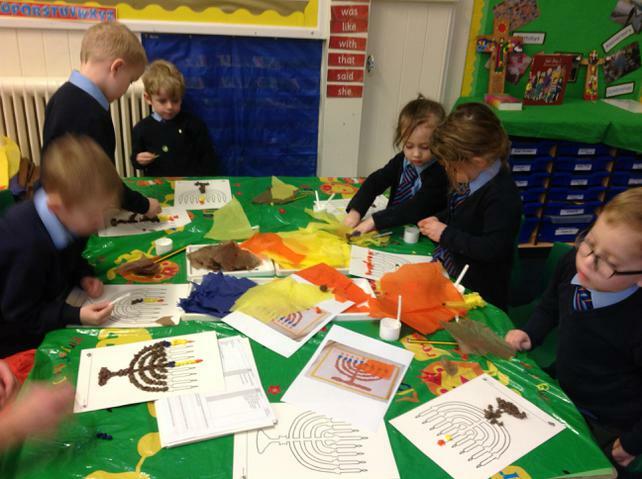 We found out why oil is important during Hanukkah as it reminds Jewish people of how the little amount of oil in the lamp did not run out while Judah and other men worked on rebuilding the temple.We made pancakes and potato latkes (some of the food eaten during Hanukkah) and made collage menorahs which we took home to help us tell the story to our families at home. 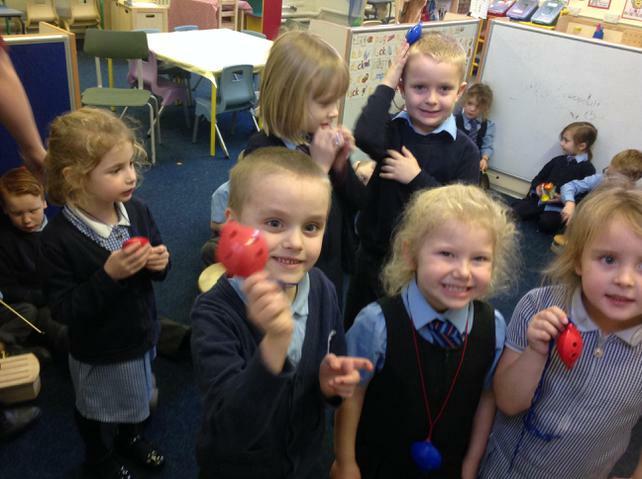 We launched our new topic (What's that song?) 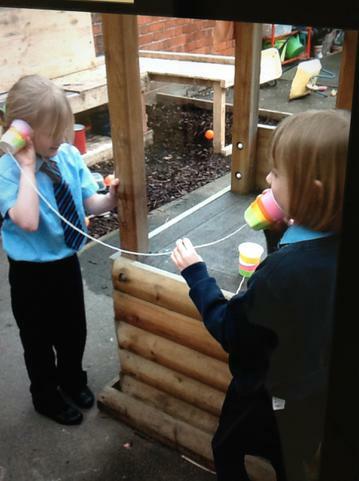 this week with a listening wall around school. 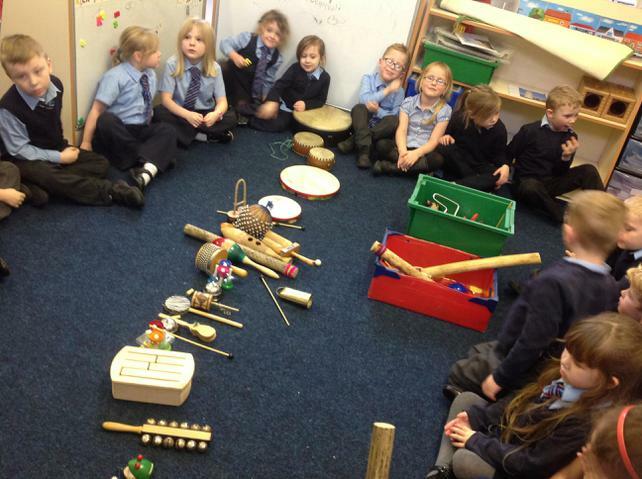 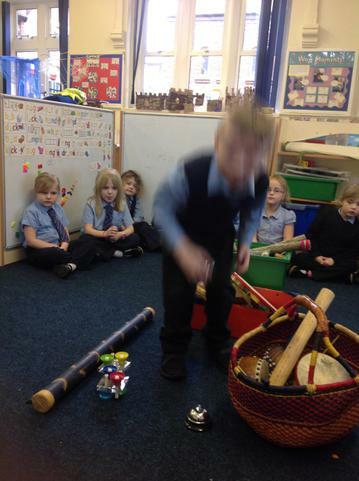 We then explored sounds made by different musical instruments and ordered the instruments according to the sounds they make. 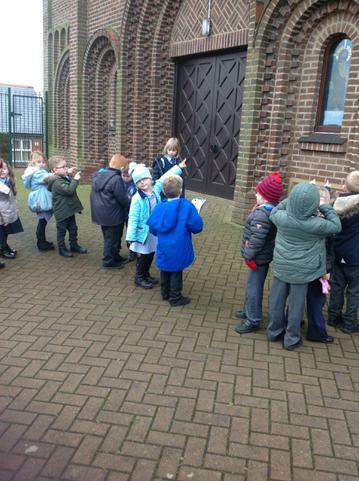 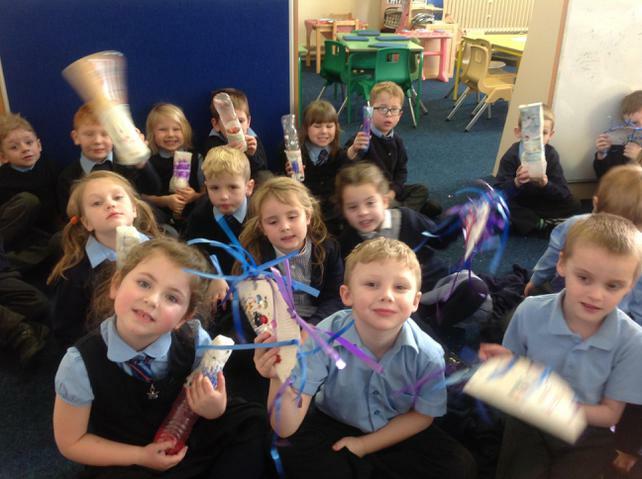 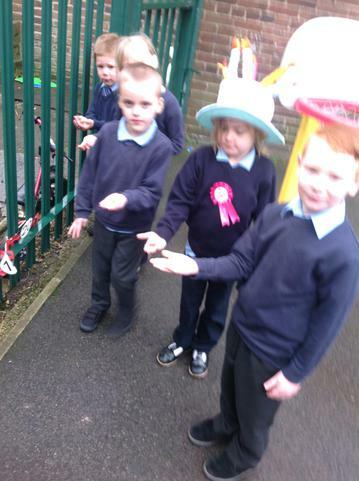 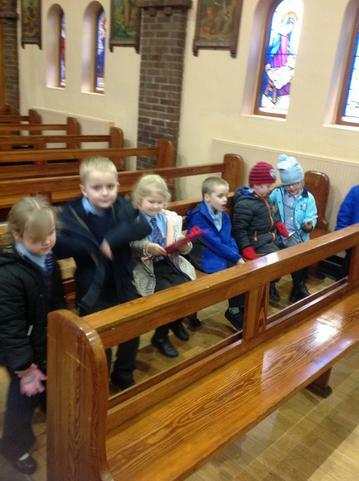 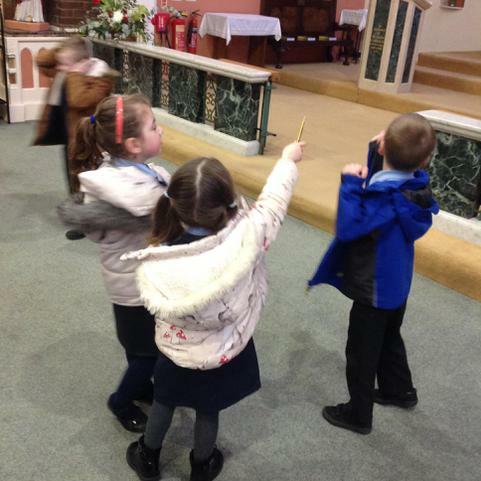 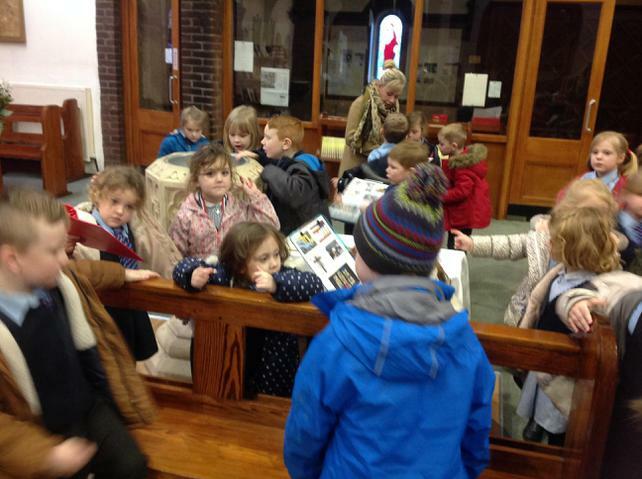 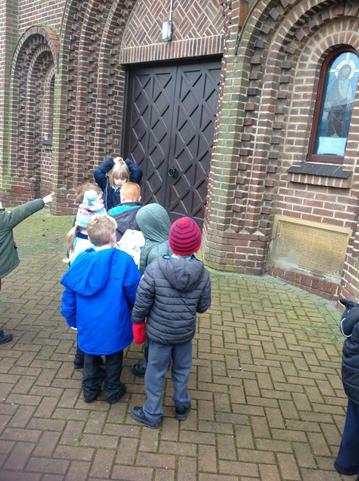 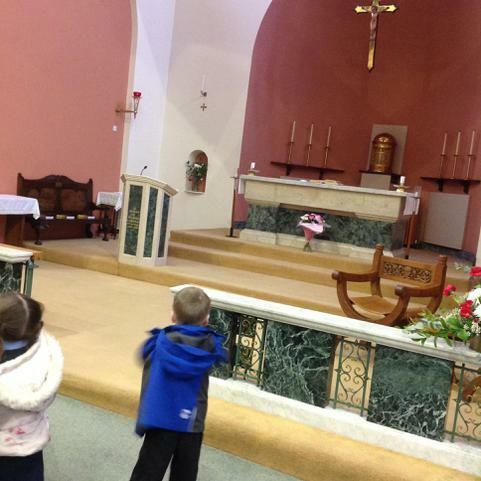 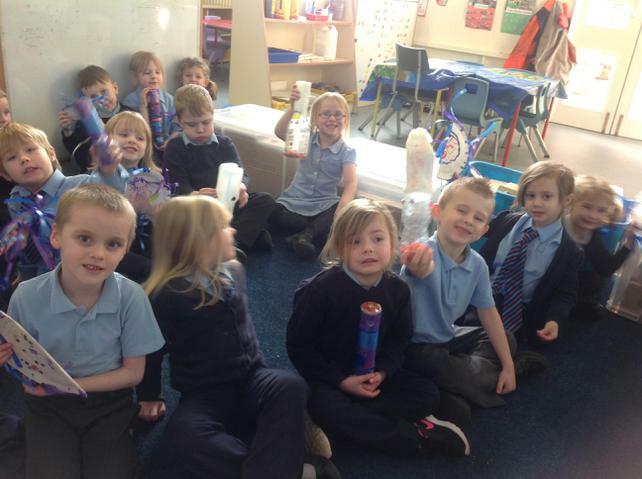 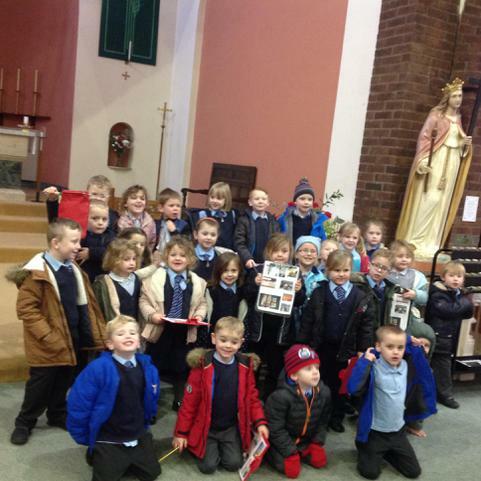 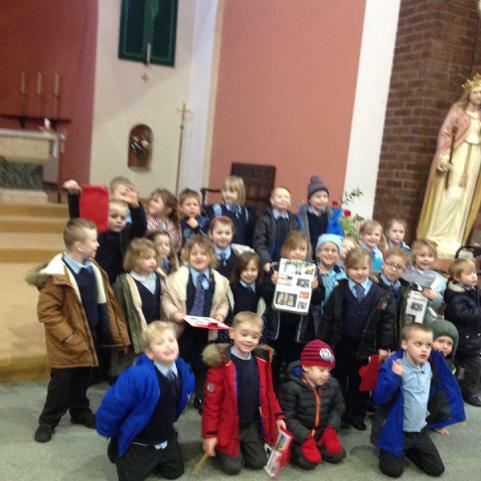 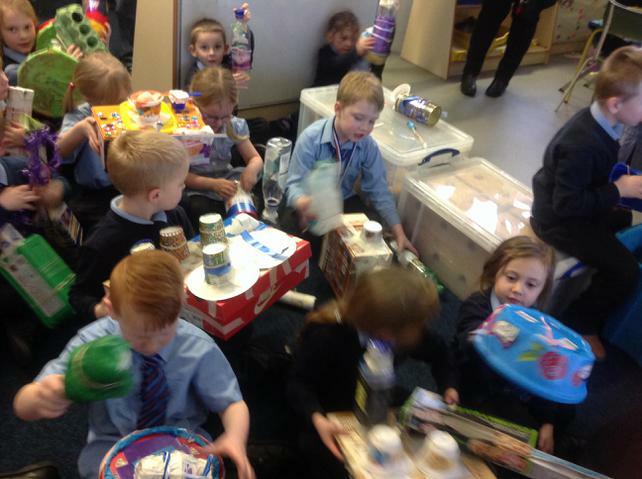 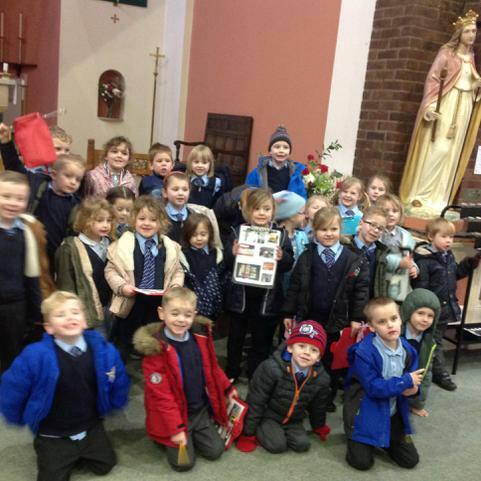 In R.E, we went on a treasure hunt in church and had to find different artifacts that are used in celebrations. 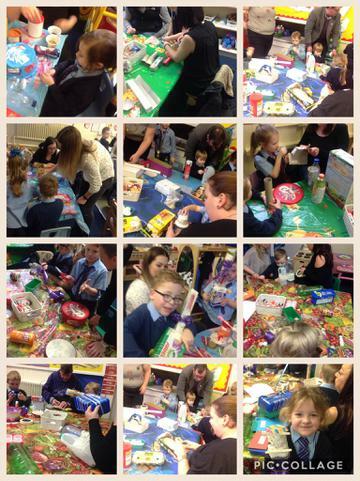 Here are some of the pictures from this week. 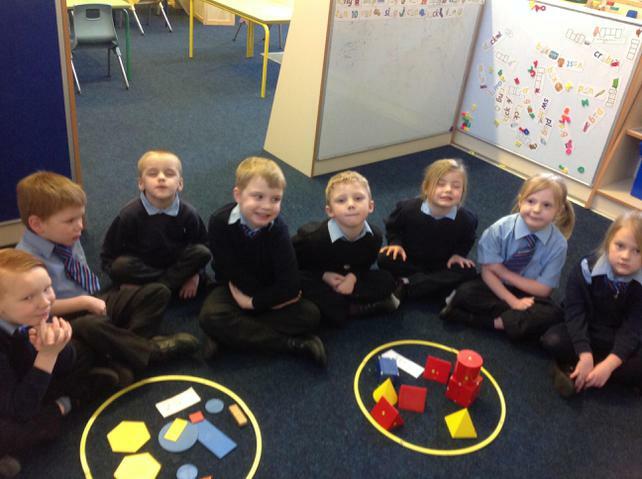 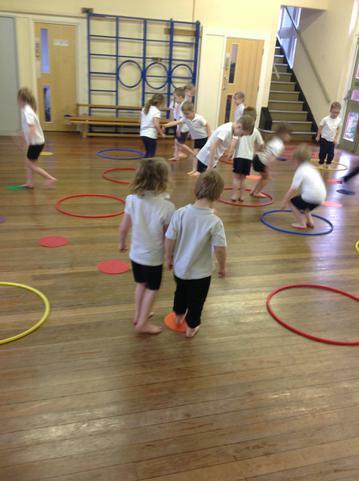 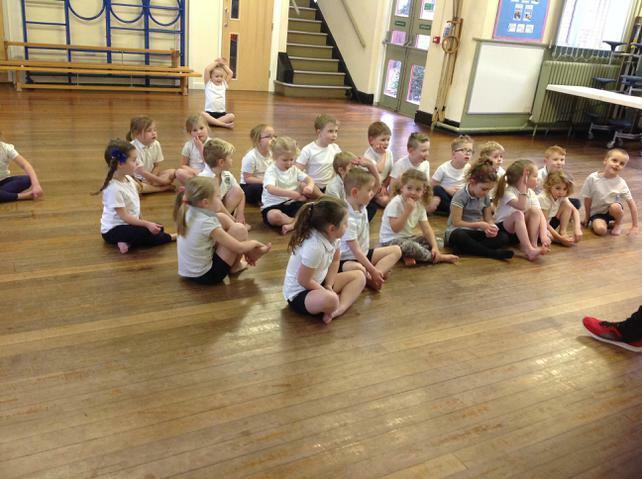 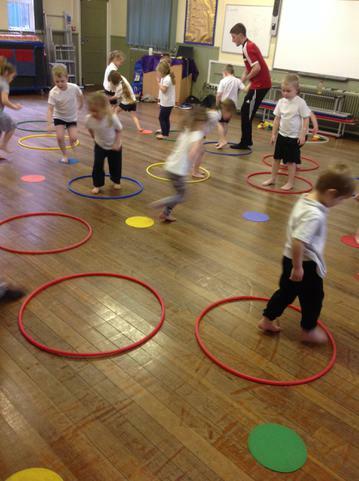 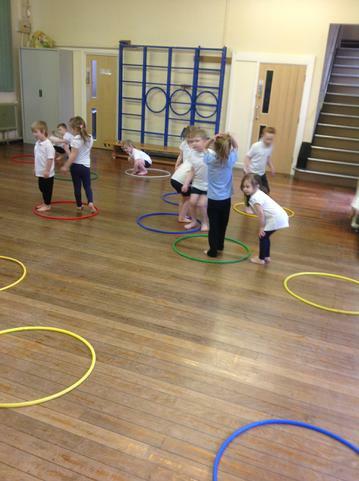 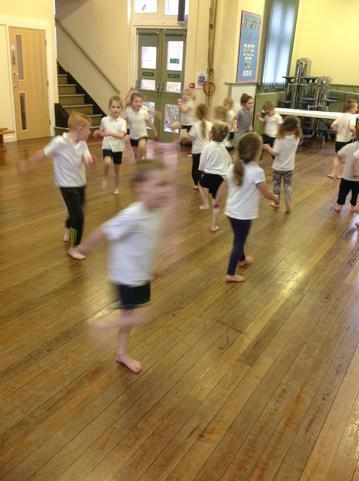 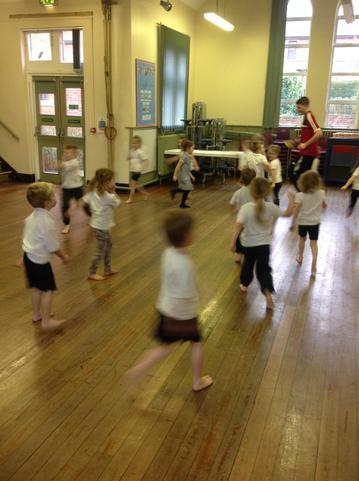 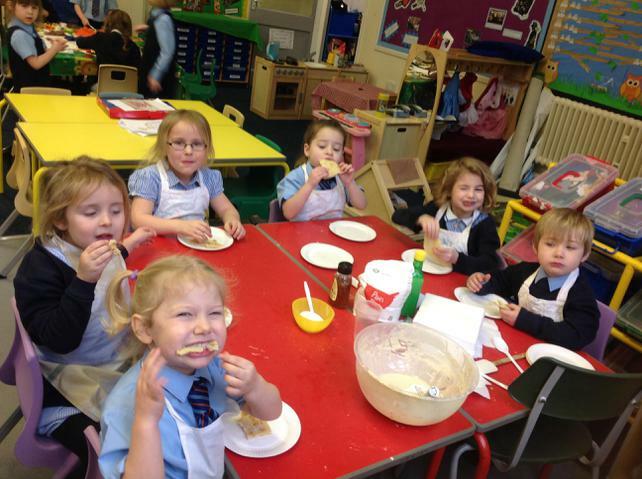 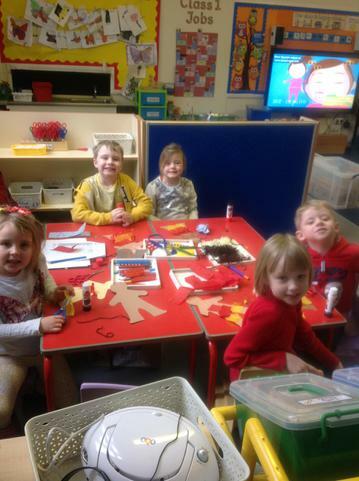 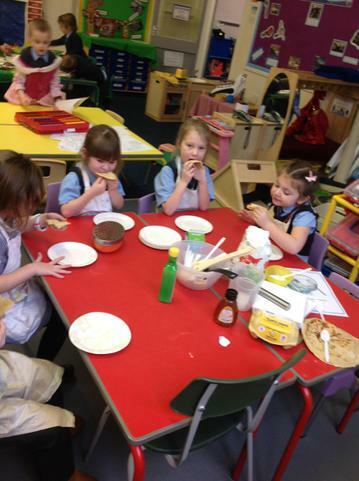 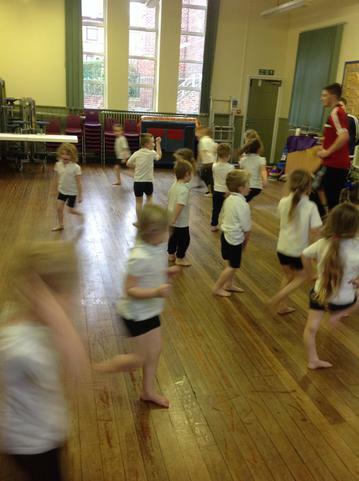 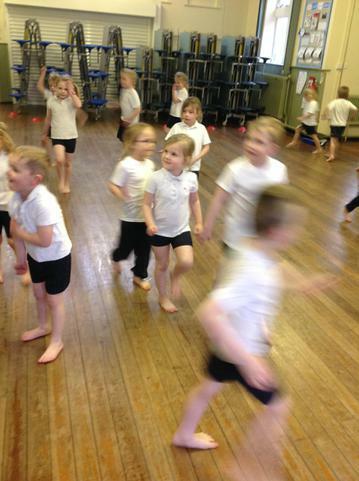 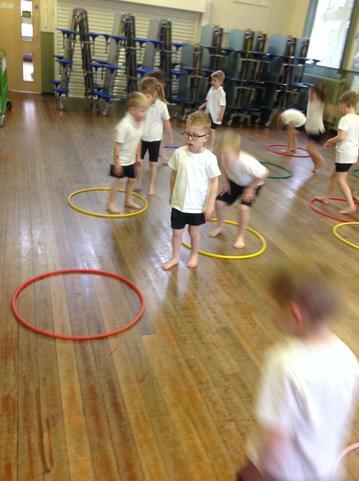 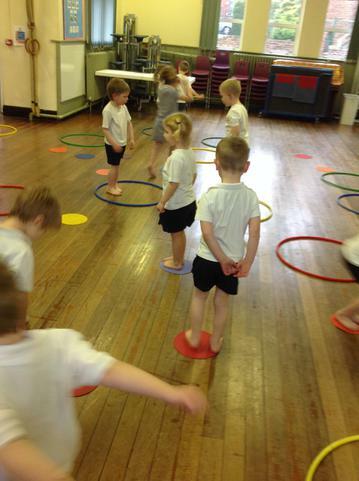 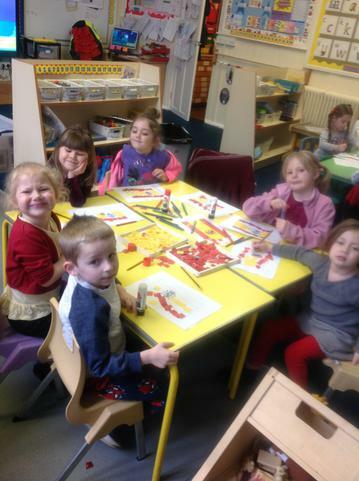 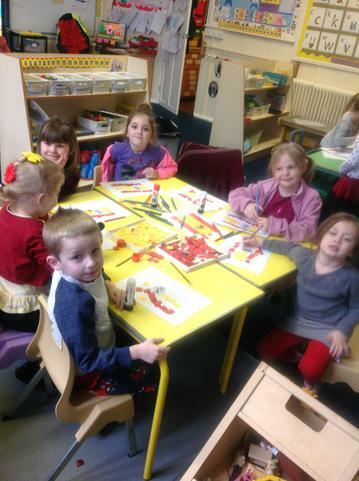 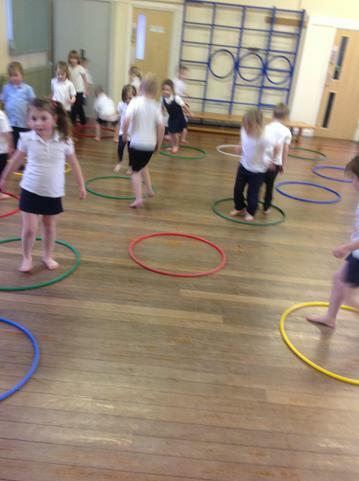 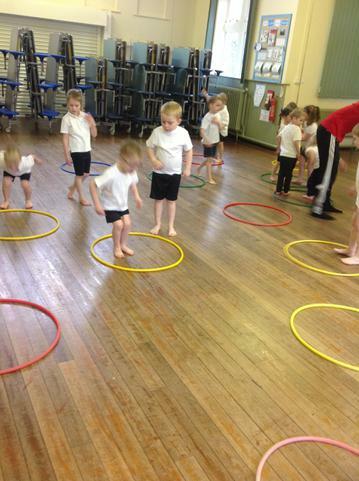 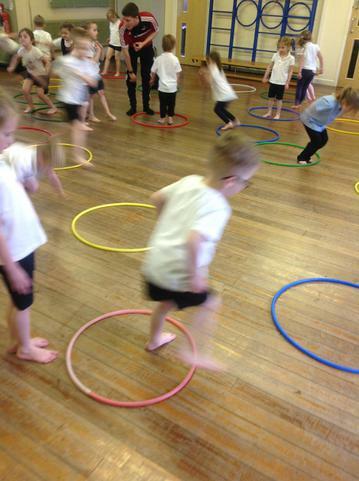 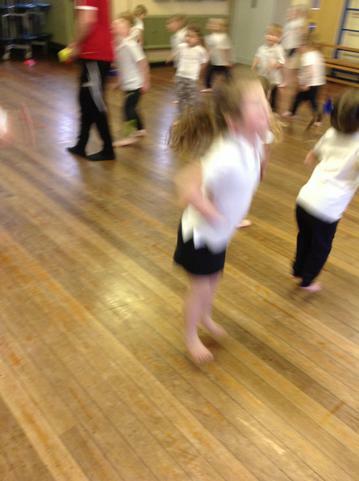 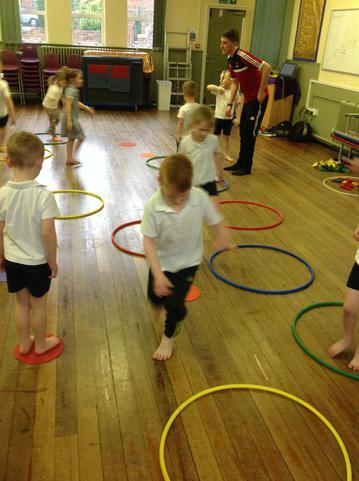 What a busy week class 1 have had this week! 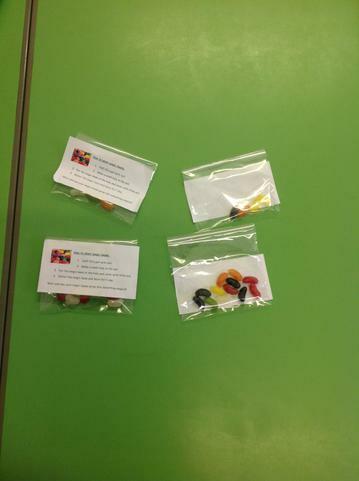 On Monday we found some magic beans left in our classroom! 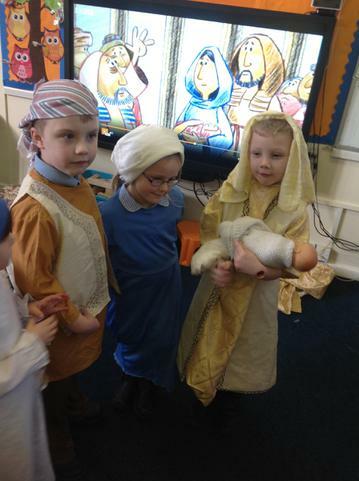 We had to decide what to do with them. 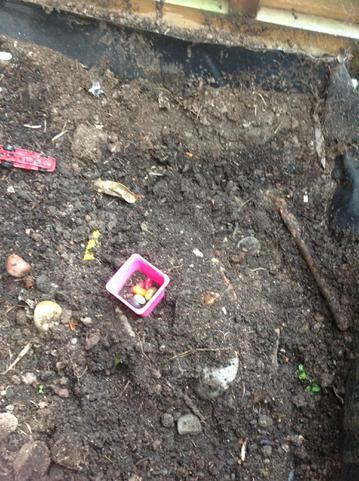 We decided to do three things;plant some, eat some and throw some away. 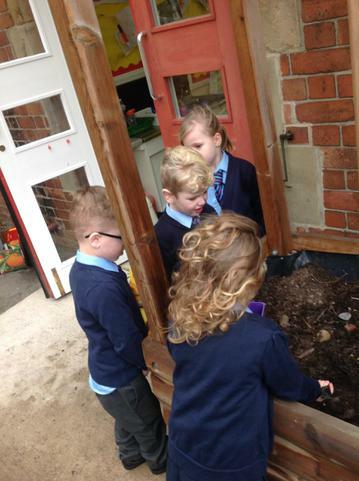 We were excited to come back into school the next day to discover that the seeds we had planted had grown into lollipops!!! 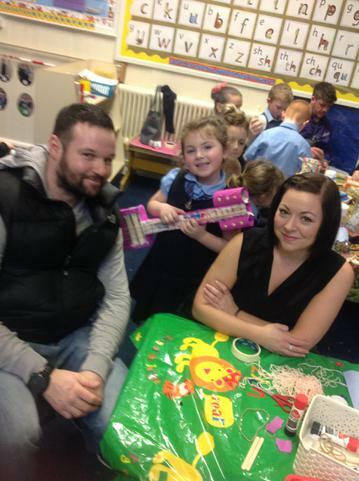 (The teachers were hoping for a money tree so they were not as excited). 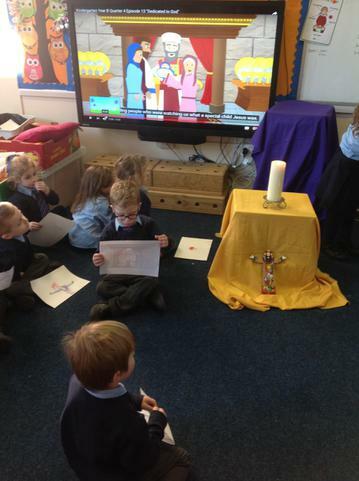 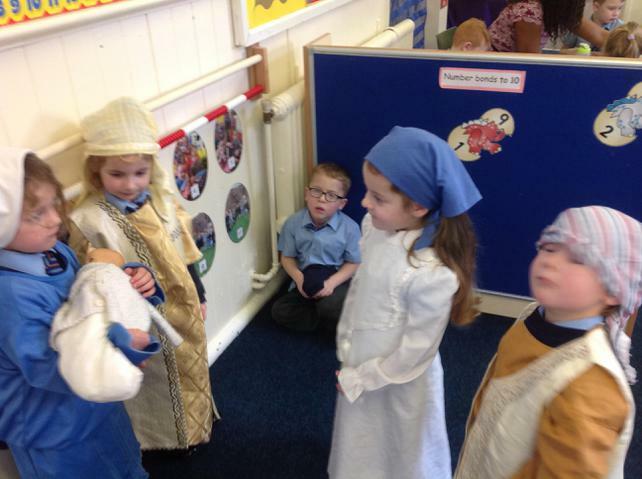 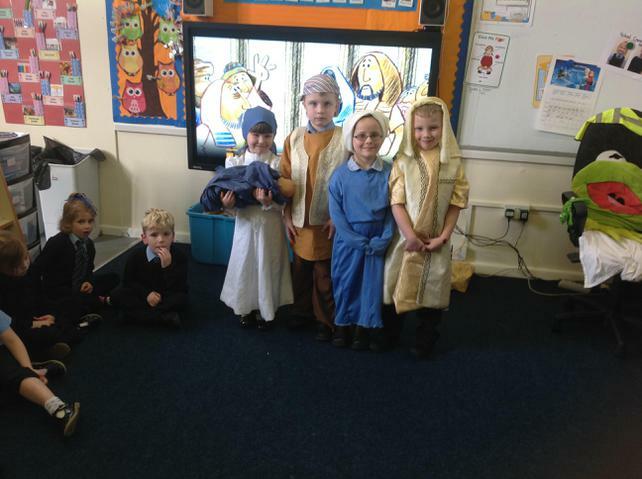 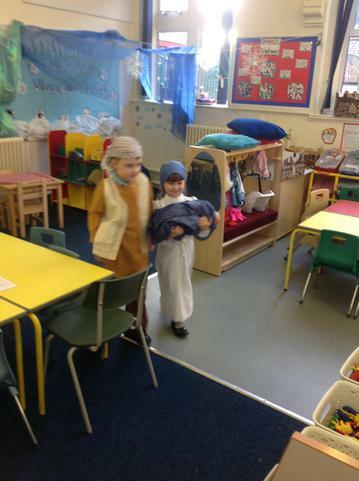 In R.E we were looking at the Presentation story where Mary and Joseph took Jesus to the temple for a dedication. 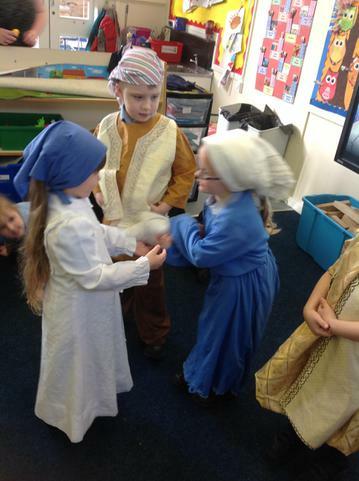 We re-enacted the story and performed in front of the class. 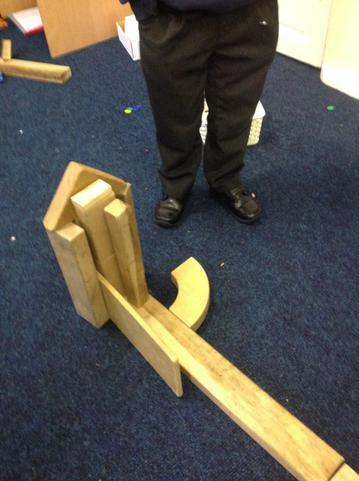 We are excited to share these pictures with you. 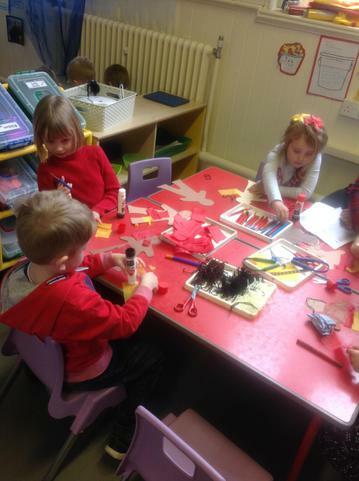 We have made a good start to the Spring term. 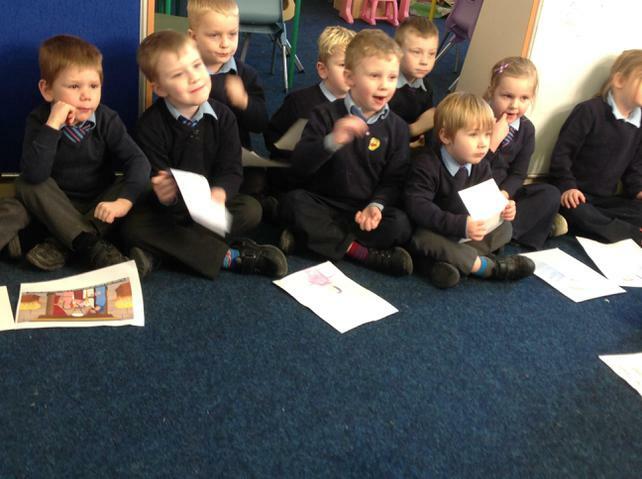 Everyone has approached learning with enthusiasm and excitement. 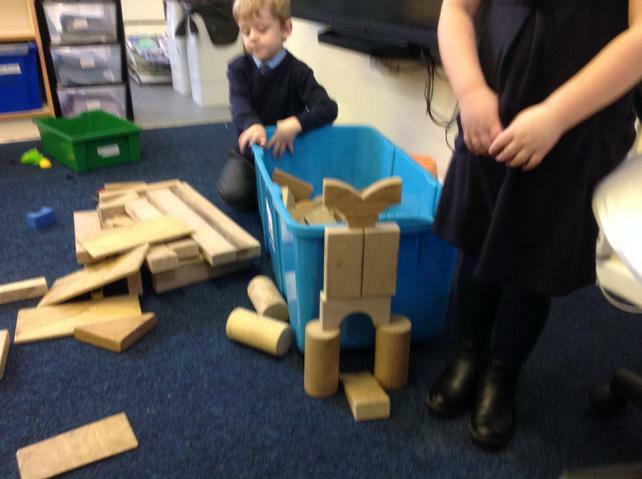 In our Cornerstones Topic, we looked at the structure of castles (inspired by the traditional stories we have been reading). 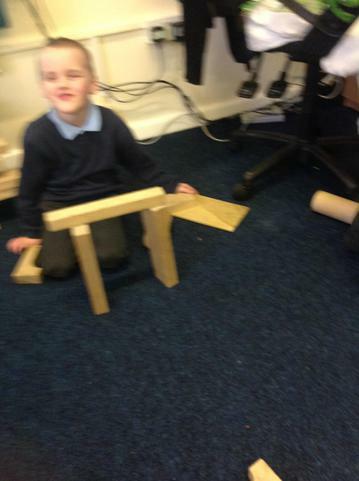 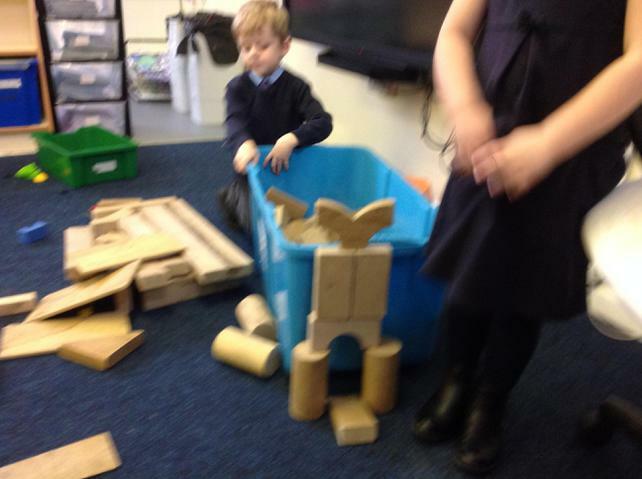 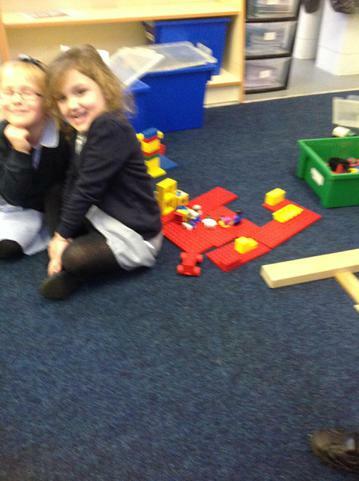 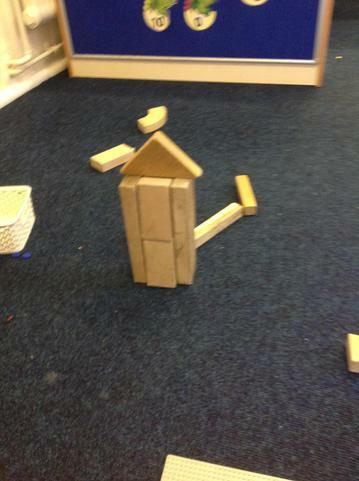 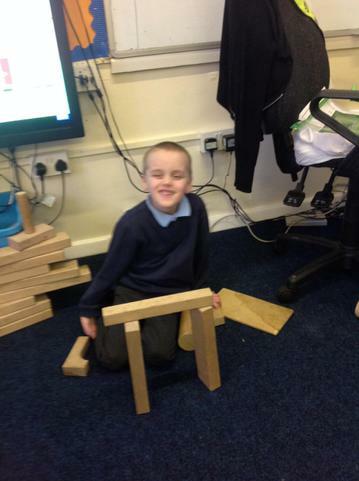 Some children then went and made their own castle models.